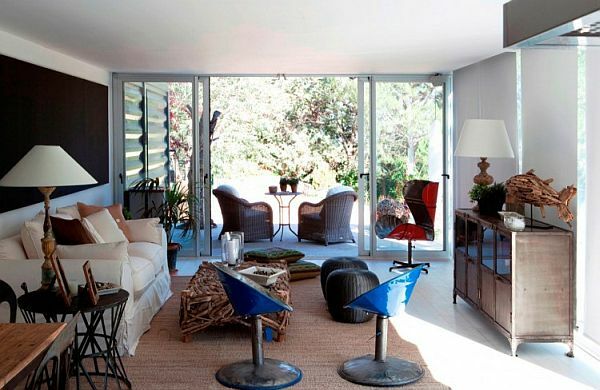 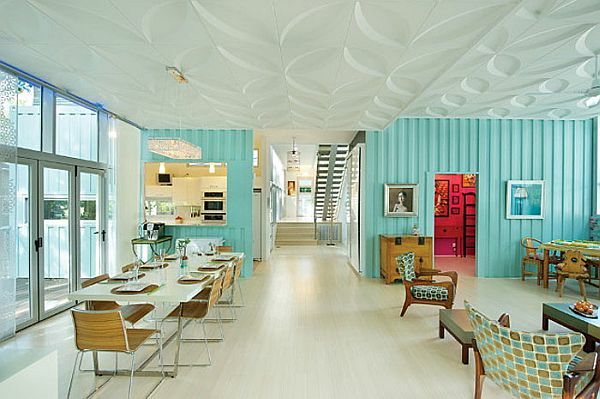 Let us start our look at fabulous shipping container homes with this beautiful and simply stunning Patrick Partouche-designed living space called the Maison container project. 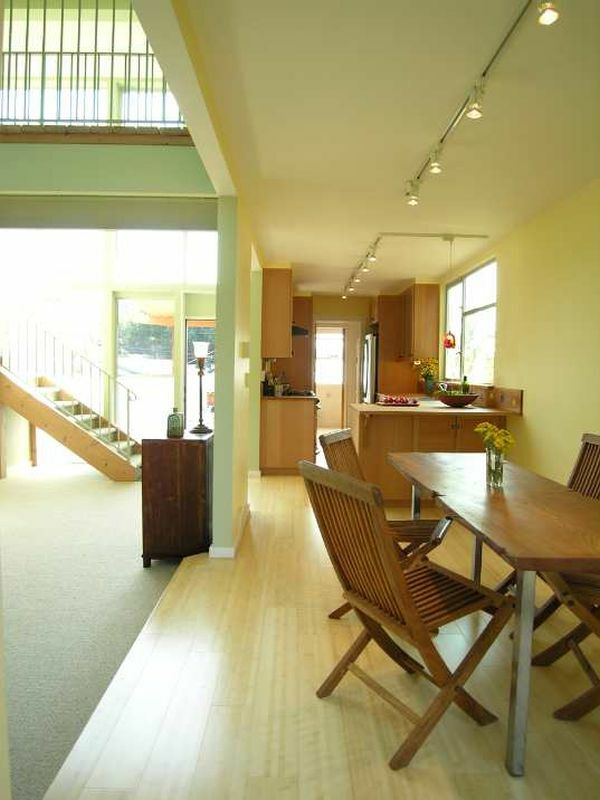 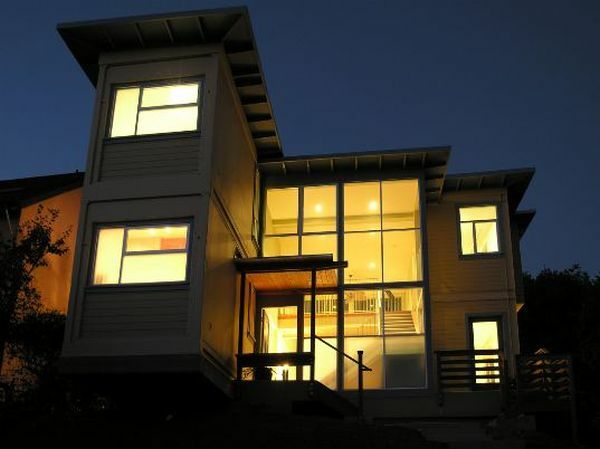 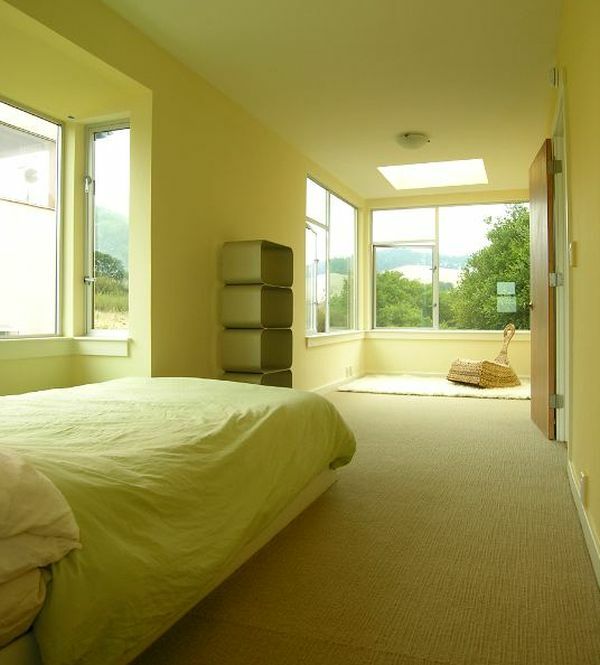 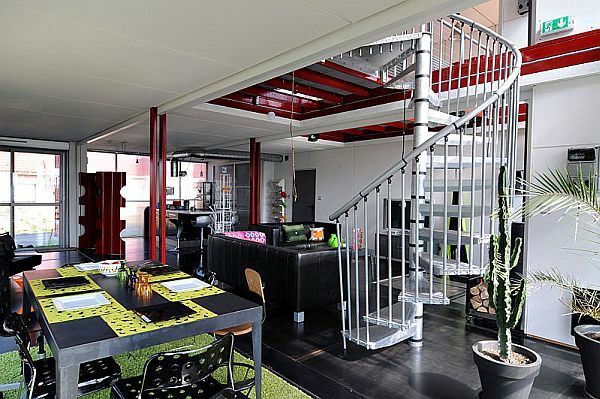 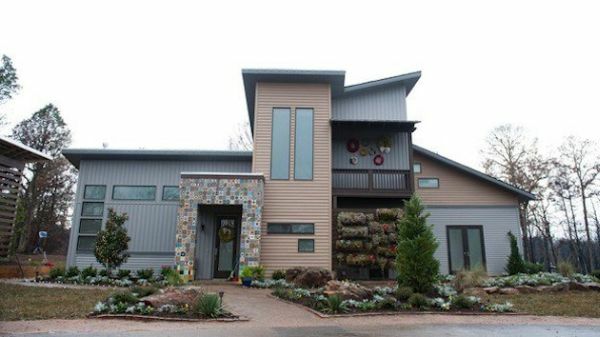 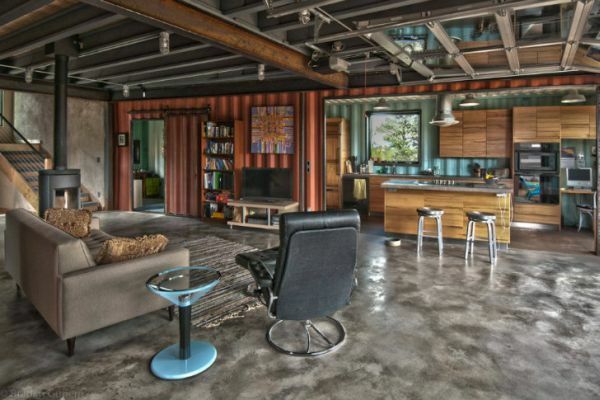 The two-story building is an absolute delight to step into and once you do, you will almost instantly forget the fact that you are residing in a house built by using 8 large shipping containers. 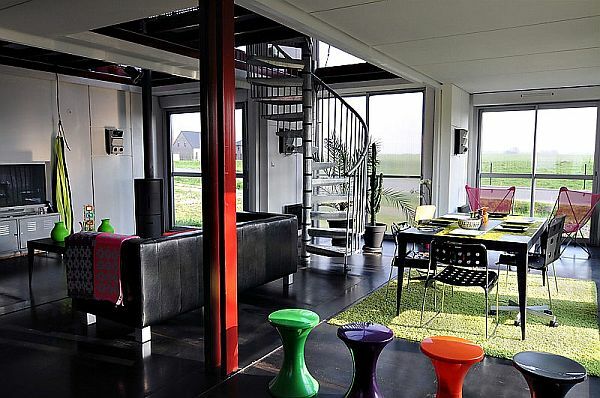 Located on the banks of river Lille in France, it is nestled on a 2,240 square feet area and € 221,000 went into bringing it to life. 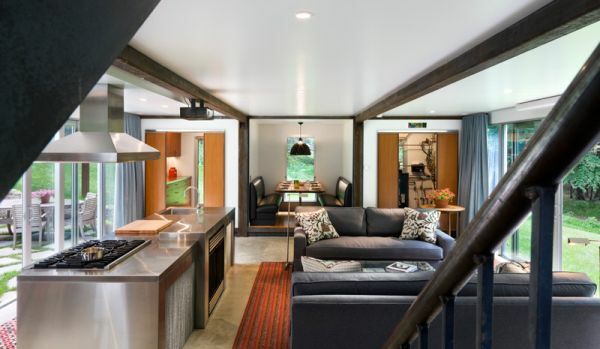 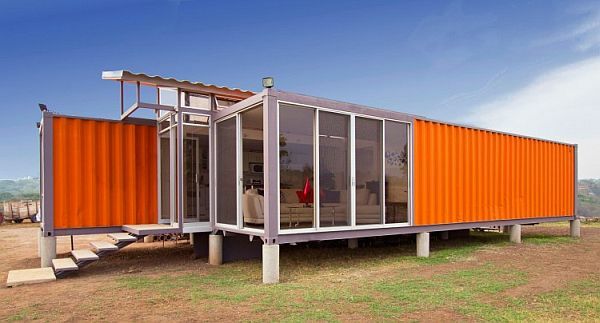 There is nothing ‘old’ about this bold and beautiful container home from Adam Kalkin, who is pretty renowned for producing some astounding shipping container structures. 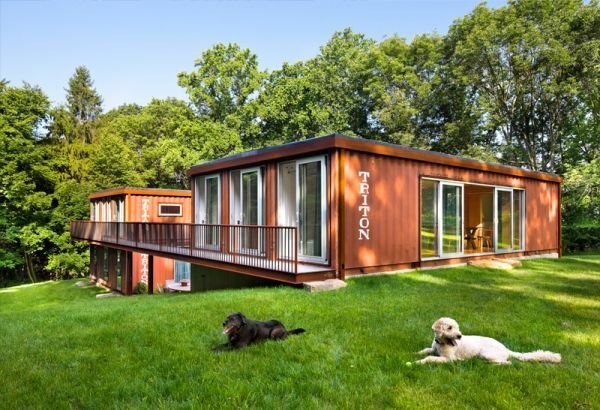 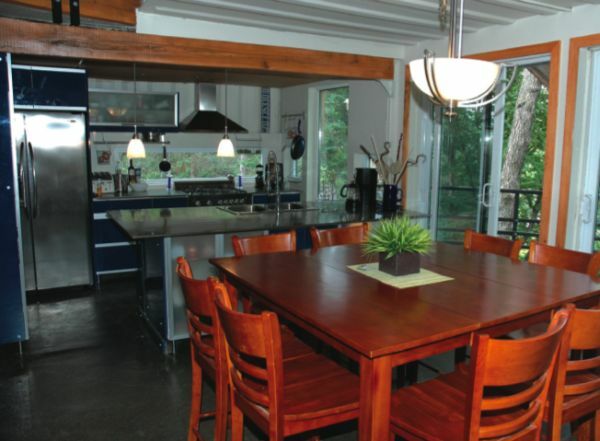 This particular house in Califon, NJ has a wonderfully cozy feeling about it and with ample natural ventilation thanks to the extensive use of glass on one of its sides; there is never a dull moment inside this container house. 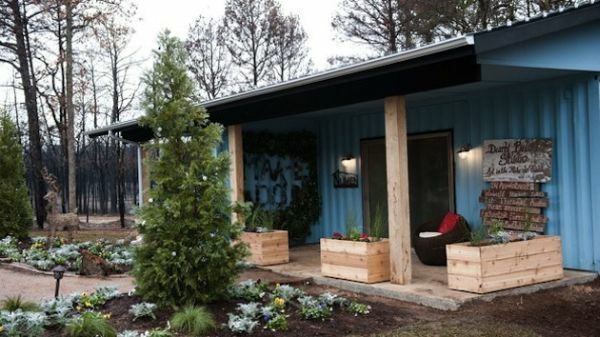 One of the advantages that container homes bring along with them is the cost-effective nature of construction and an affordable housing option for one and all. 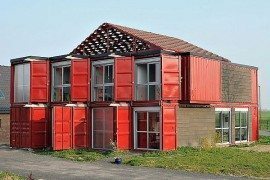 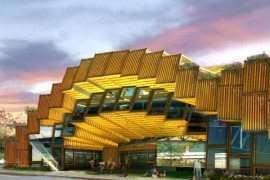 The ‘Containers of Hope’ design by Benjamin Garcia Saxe Architecture has been conceived to ensure that inexpensive housing options are available for one and all. 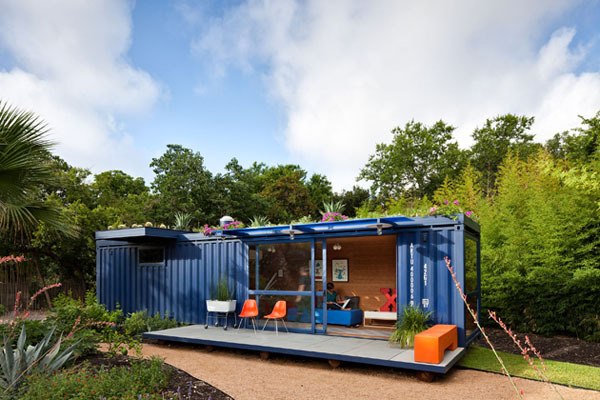 Designed using just 2 shipping container units and built within an area of just 1000 square feet, containers of bring fabulous design and ergonomic interiors without the presence of excess. 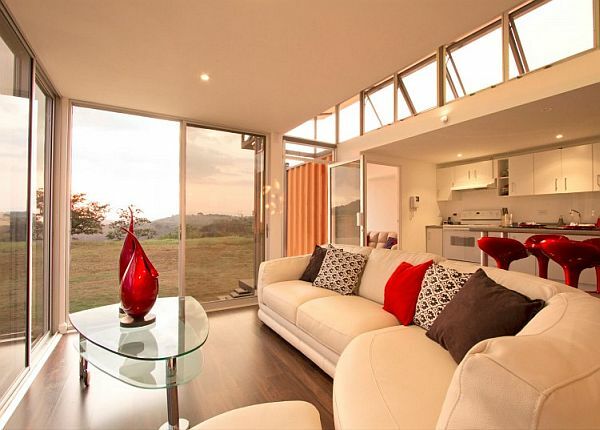 Delightful, playful and chic on the outside, sophisticated, stylish and sleek on the inside- that is pretty much how you would find the Cossbox House designed by CG Architects. 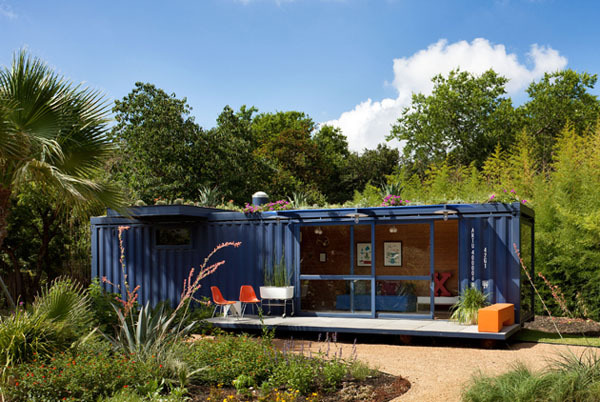 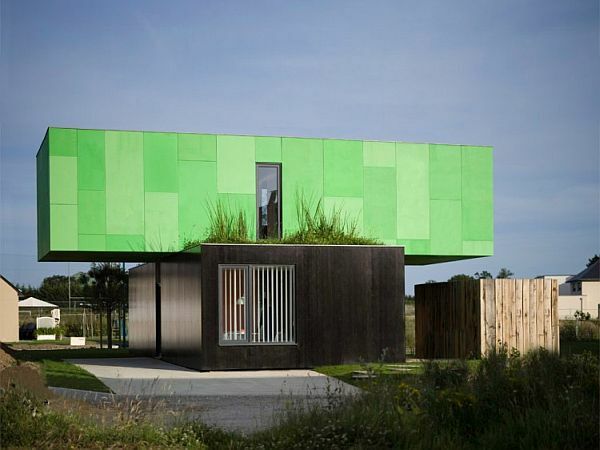 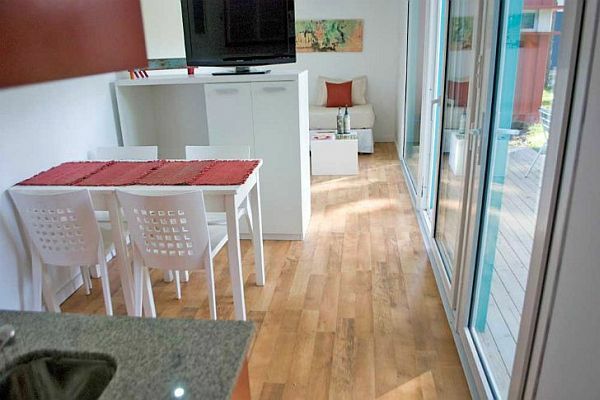 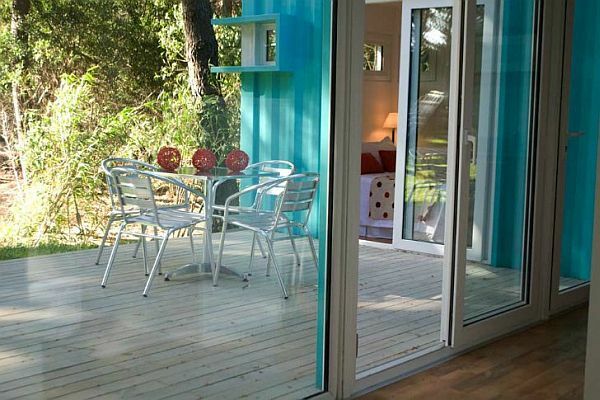 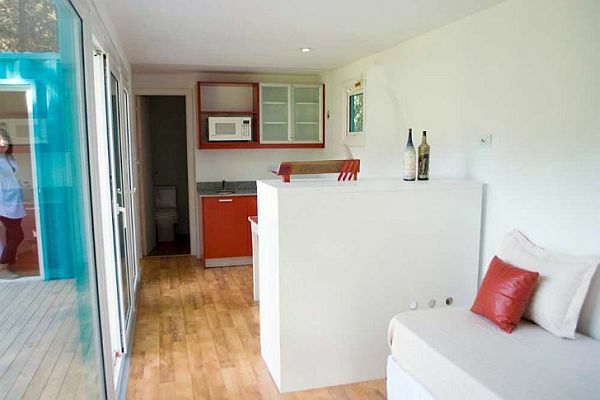 This French-served delight is made from four shipping container units and they are carefully put into place to create a unique home that has the living quarters on the ground floor and the bedrooms on the top floor. 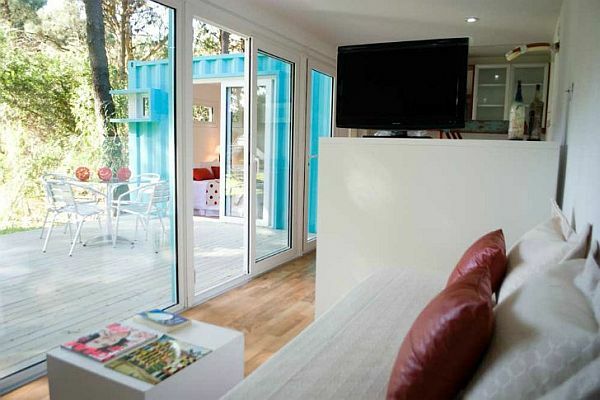 We have always believed that container homes make for a wonderful option as a retreat, whether it is as a personal getaway or as a reclusive and private resort space. 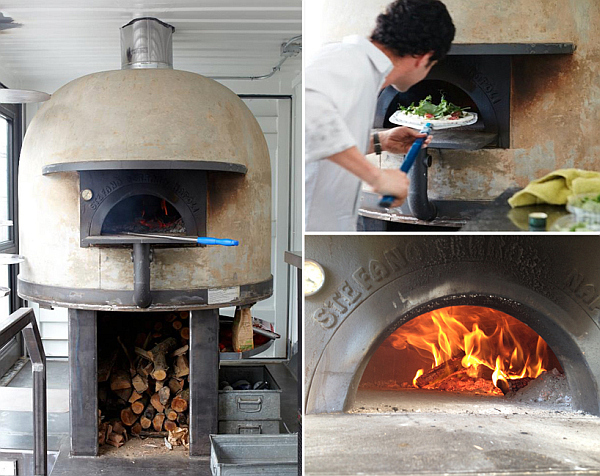 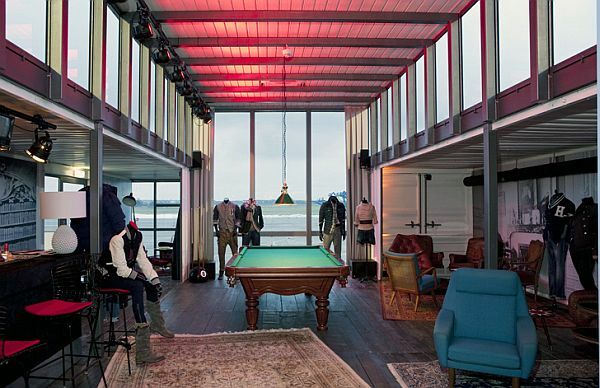 Alterra Glamping is a vivacious and relaxing natural resort on the Pinamar beach in Argentina and architect Clorindo Testa has decided to give it an eco-friendly touch by using old re-purposed shipping containers as private cabins on the beach. 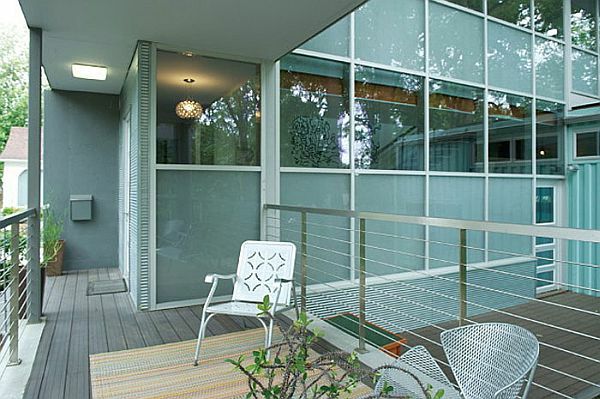 Some patio space, giant glass sliding doors and lovely environment all around completes this crafty idea from Poteet Architects. 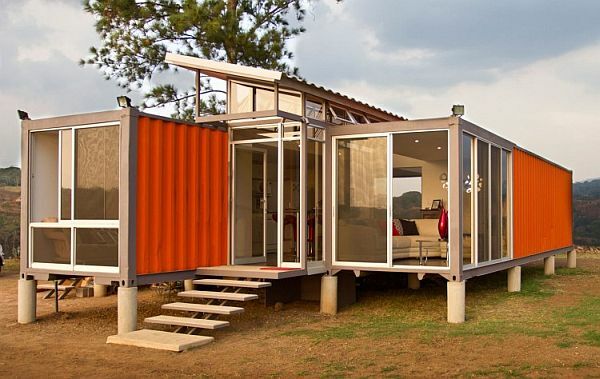 One of the easiest ways to incorporate a shipping container living unit into your existing housing plan without any hassles! 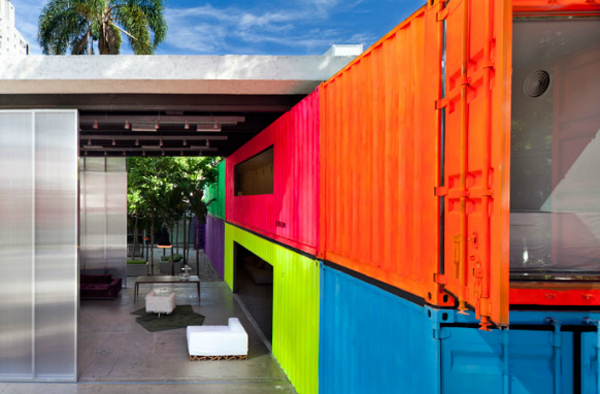 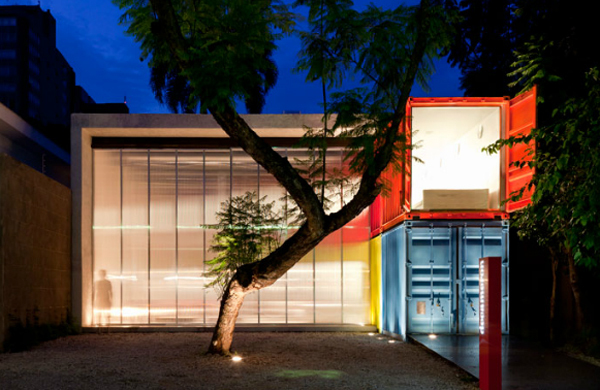 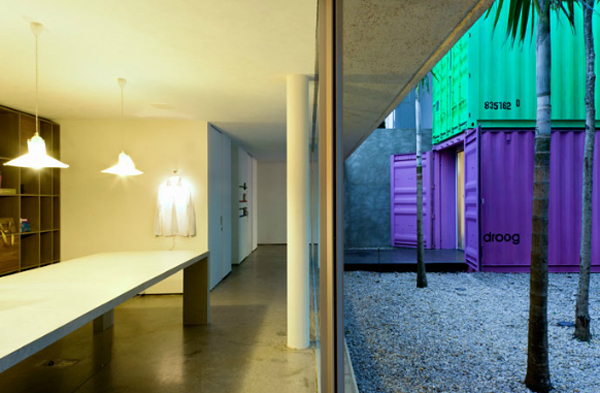 If the conventional shipping container homes were a bit too ‘bland’ for you (we highly doubt that though), then maybe the brilliant and visually enthralling painted shipping container homes designed by Brazilian architect Marcio Kogan would be more to your taste. 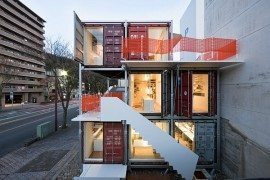 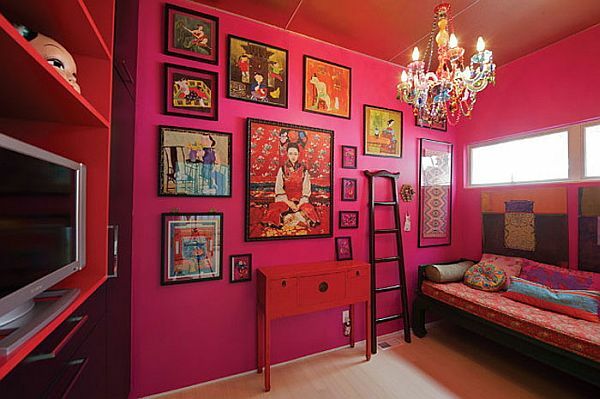 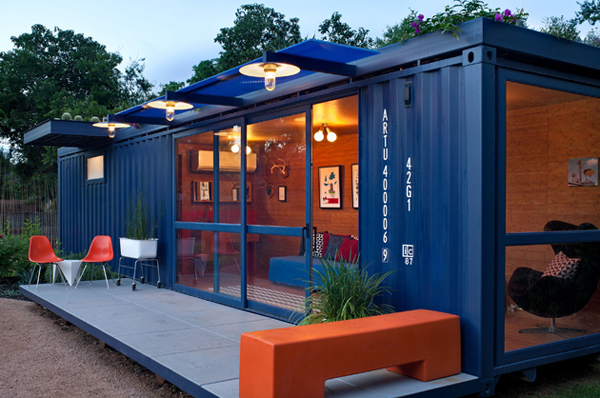 These radiant and dazzling container homes exude unadulterated youthful zest and seem to create a party atmosphere all around. 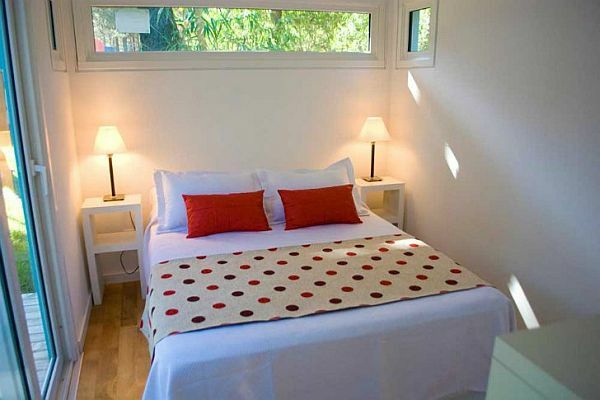 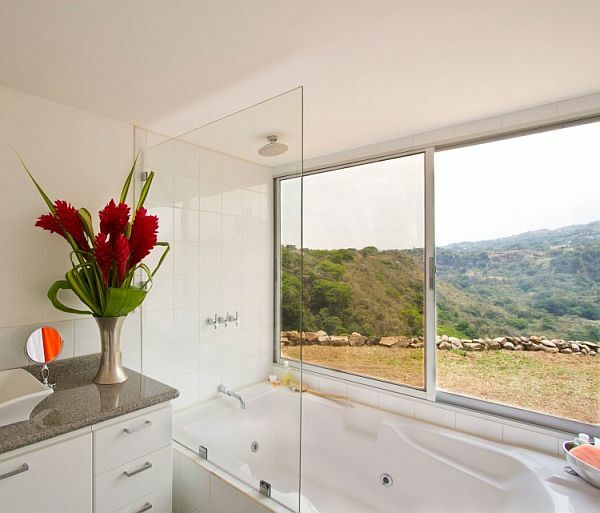 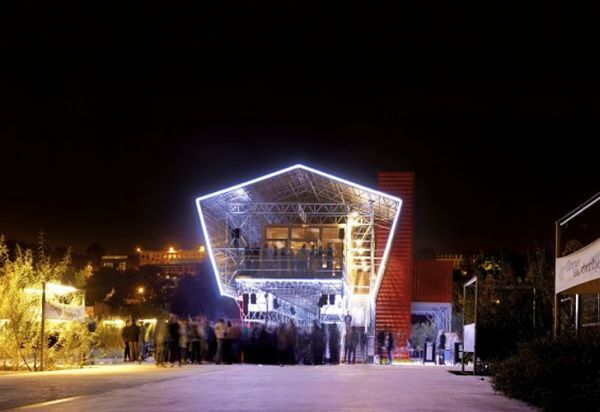 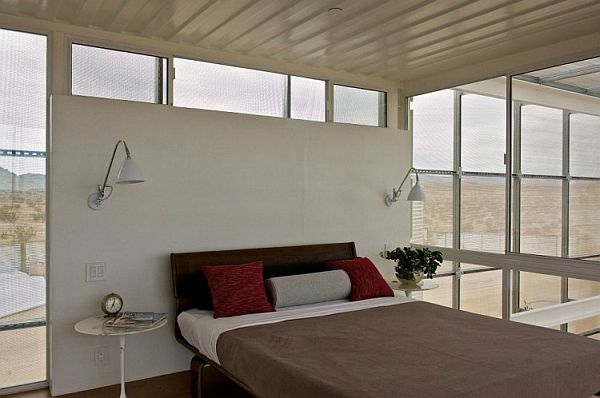 Something that seems to be a common factor when it comes to container house units is the open nature of their design and the Casa El Tiamblo is another attractive case in the point. 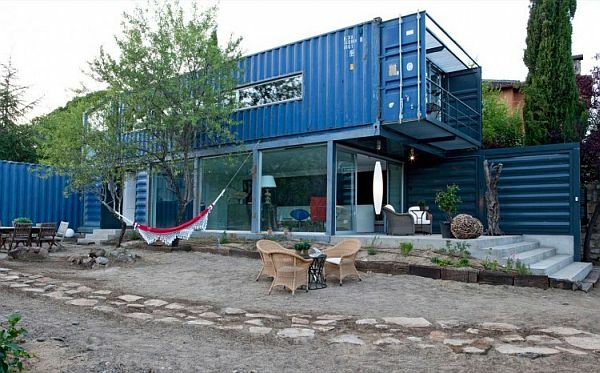 Carefully and geometrically arranged 40 foot long blue shipping containers make up this modern Spanish home and the interiors are as eclectic and innovative as the exterior. 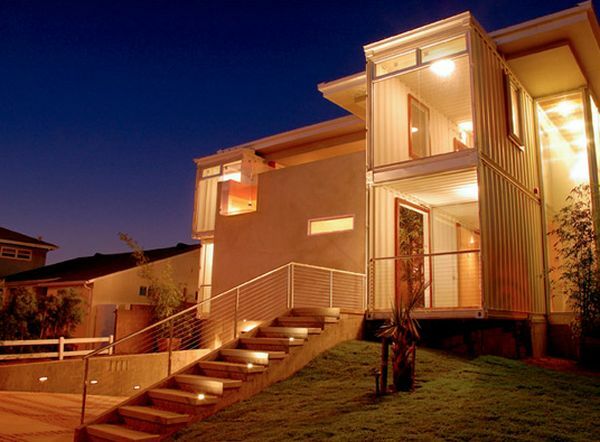 Designed by James & Mau Arquitectura and Infiniski, this is a contemporary home with a metallic twist! 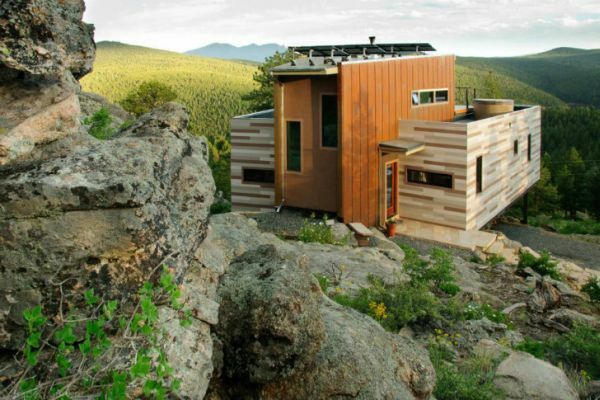 Nestled among the rocky mountain terrain of Nederland, Colorado, here is a shipping container home that offers the ideal solution for those who wish to escape the hustle of big city life and would love to spend time close to nature. 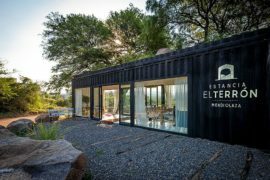 Designed ever so diligently by Studio H: T, it employs two shipping containers in a ‘wedged’ design to create a structure that sports a modest area of 1,500 square feet. 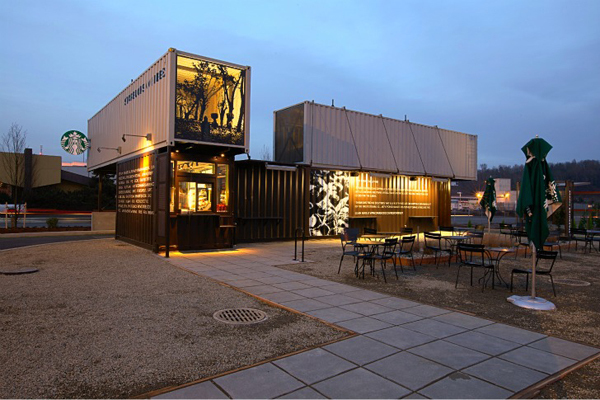 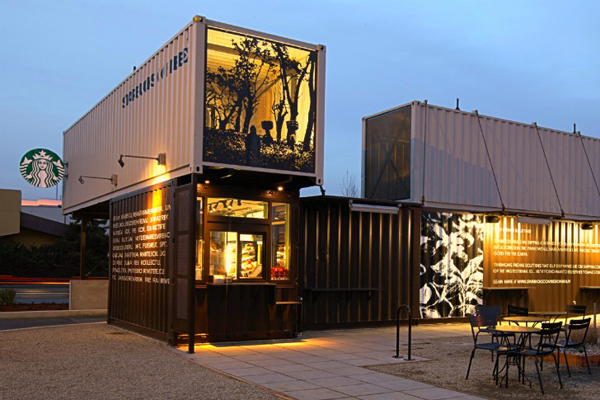 If you are a tad bit tired going through the list and would love a lovely refreshment, then how about stopping by a Starbucks that has been crafted completely from reclaimed shipping containers! 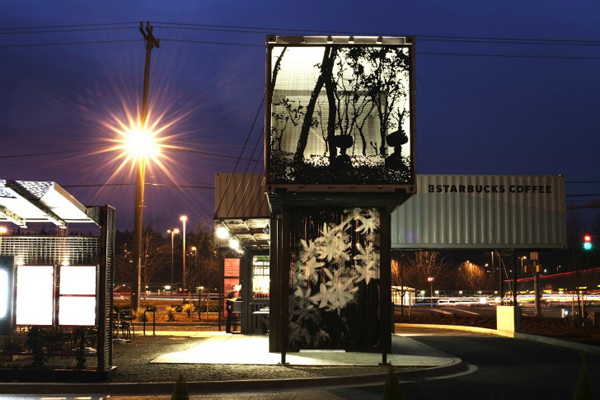 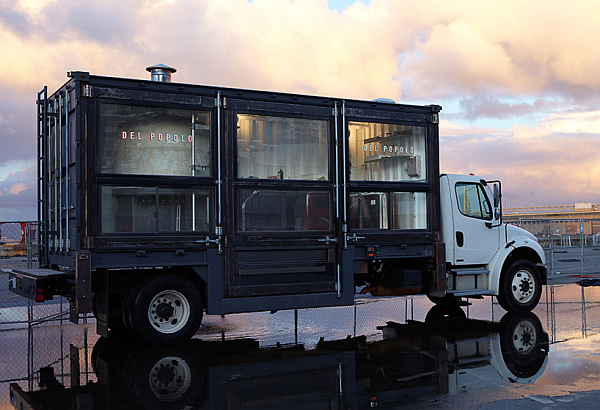 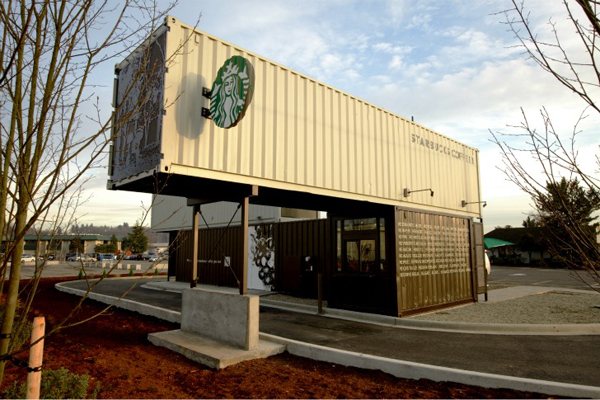 The Starbucks drive-thru that has come up in Tukwila, Washington has been created using 4 shipping containers and the best part about it is that it used shipping containers that the company utilized in transporting tea and coffee supplies across the globe. 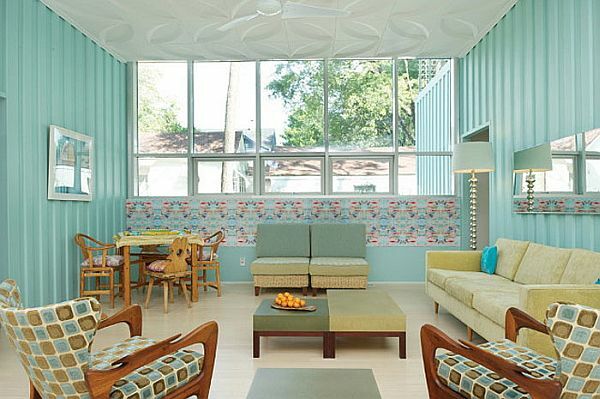 Graceful and at times dazzling wall art, ample natural ventilation, smart arrangement of furniture and different multicolored themes make these structures from Home Contained, hubs of unconstrained glee! 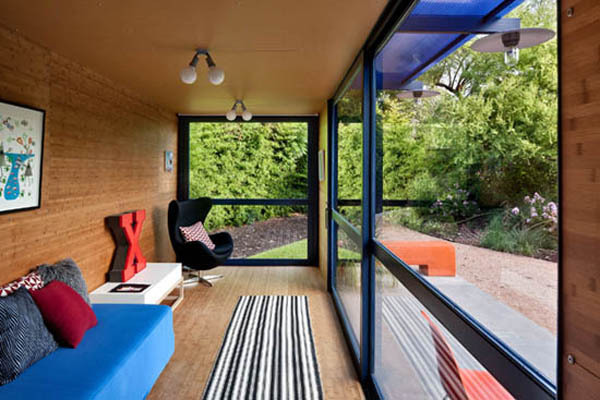 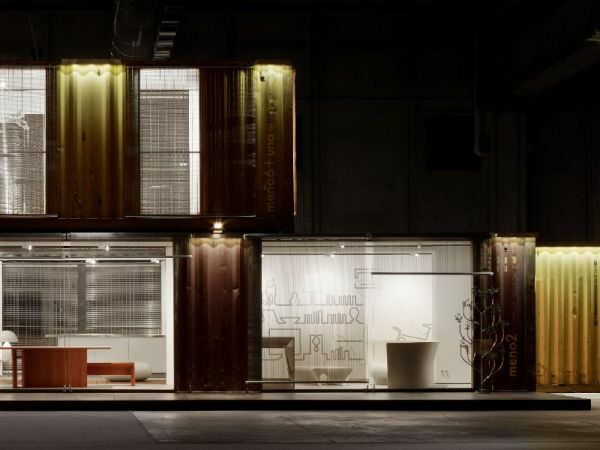 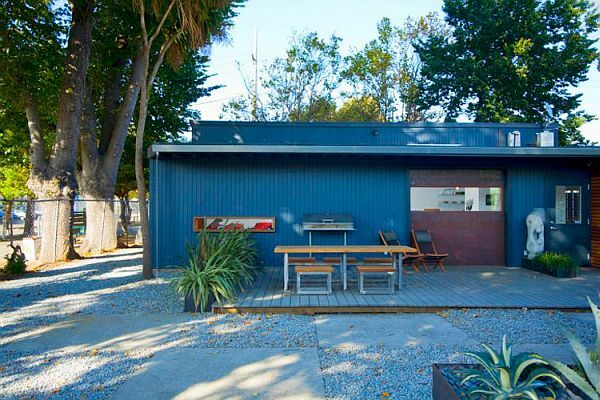 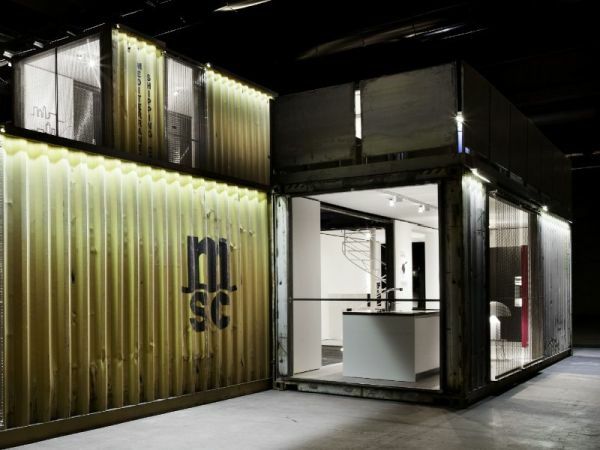 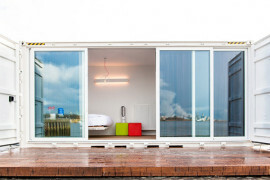 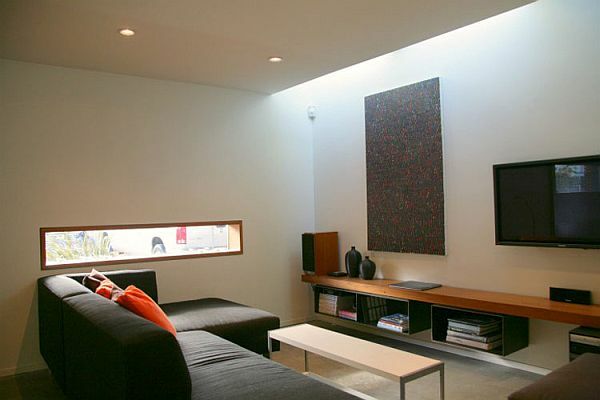 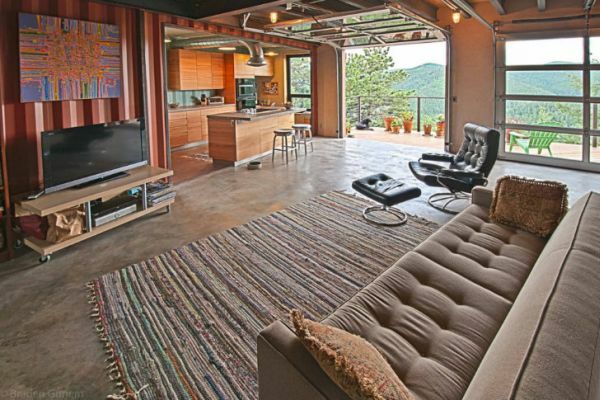 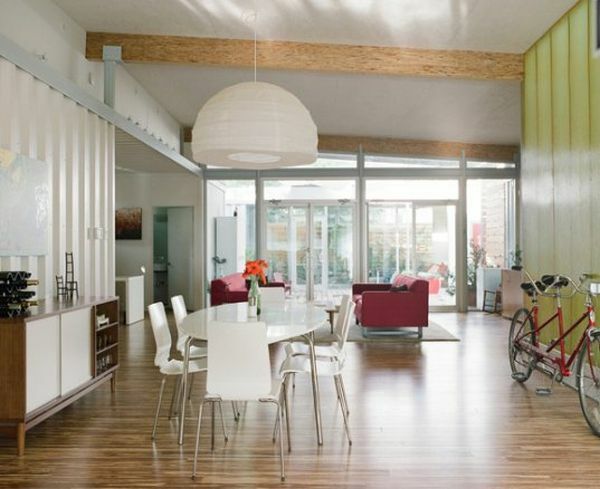 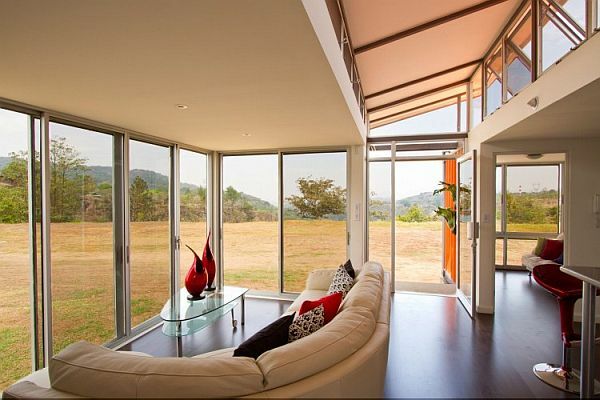 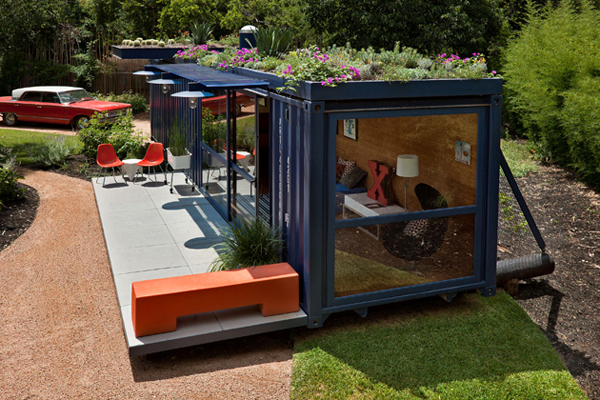 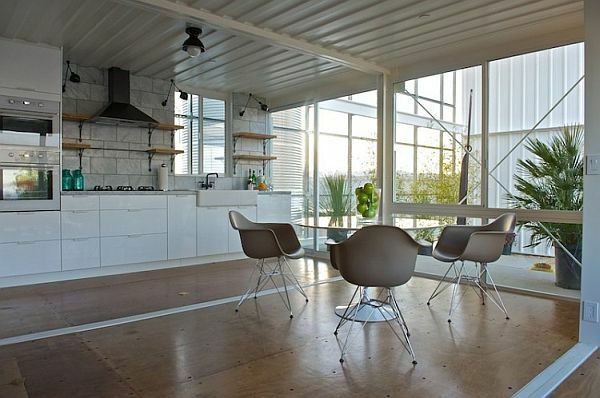 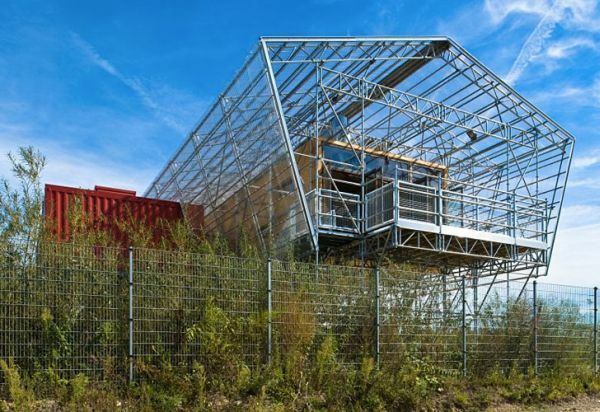 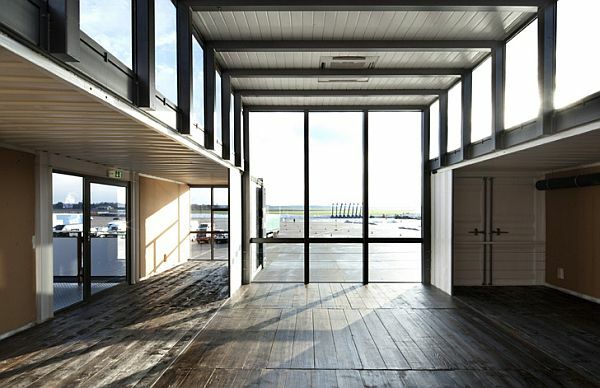 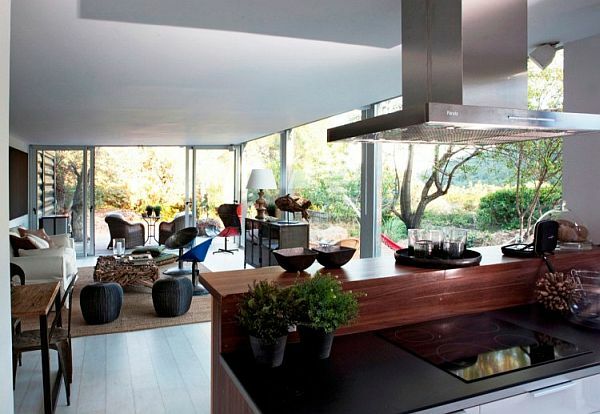 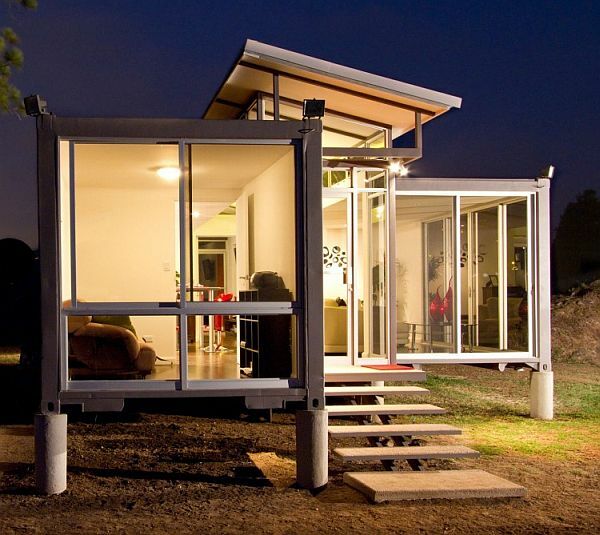 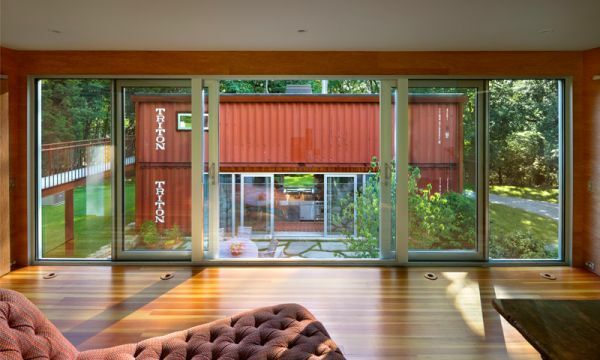 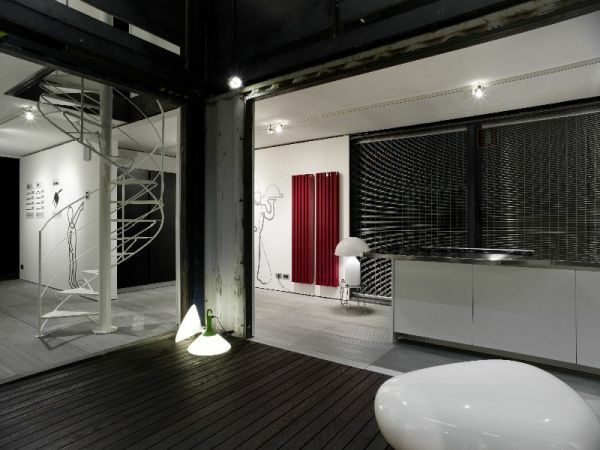 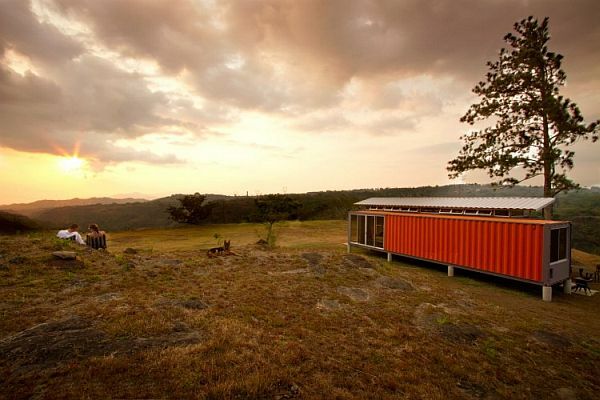 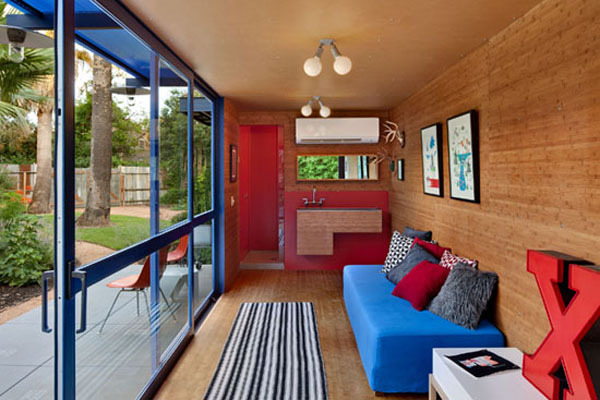 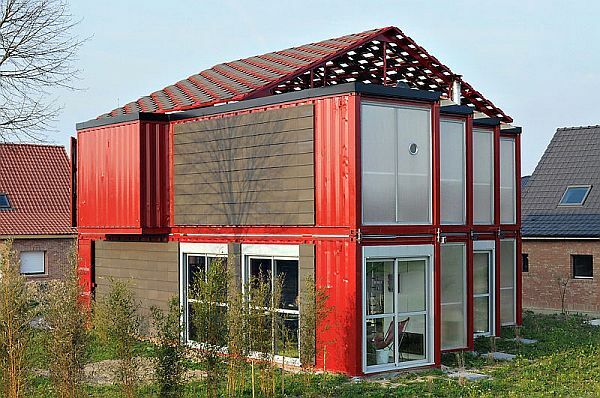 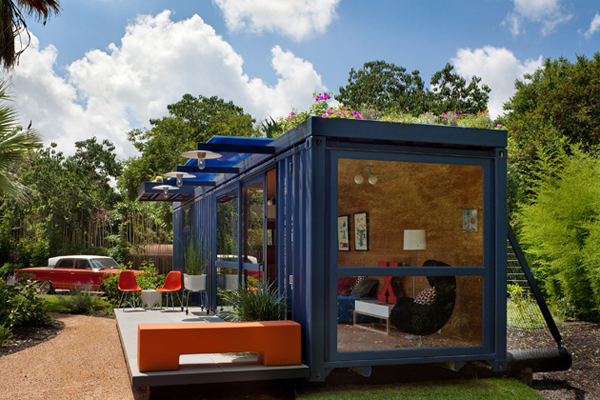 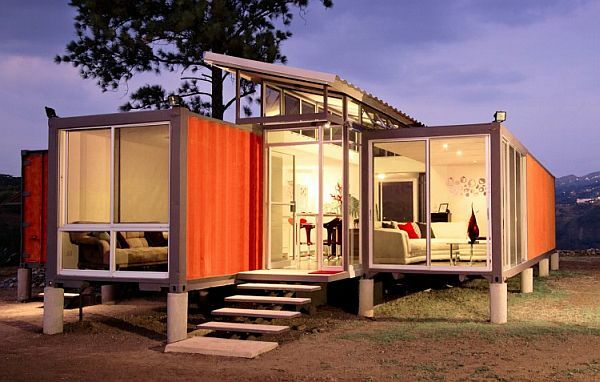 So, why should shipping container structures be relegated to just homes? 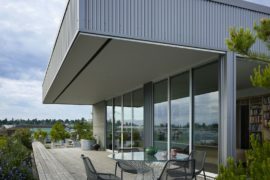 Well, there is absolutely nothing that says so and this savvy L-shaped office designed by Lab Inc is a wonderful example of that. 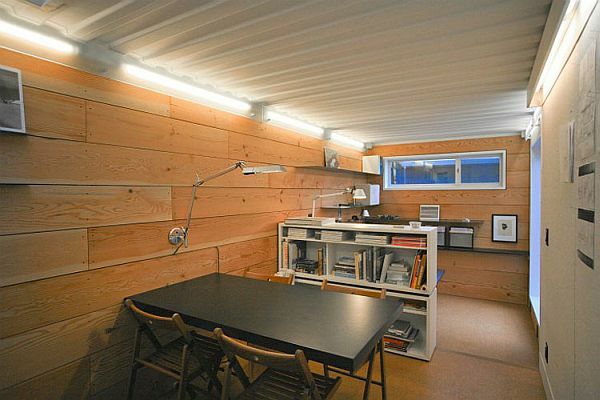 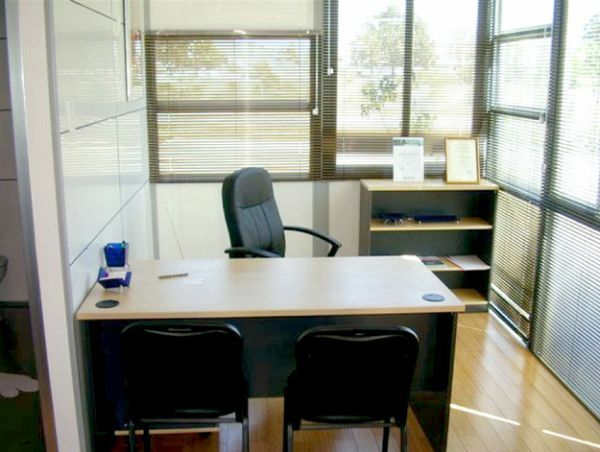 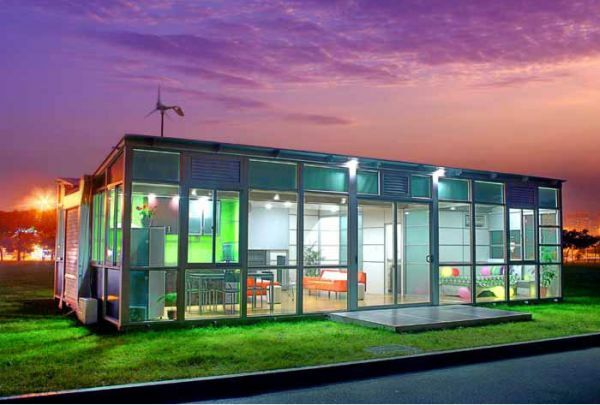 You can easily create a smart, space-conscious and complete office using container units and designed for Stephen Schoup, this office matches any conventional office building in all the must-haves and even has a few extra tricks up its sleeve. 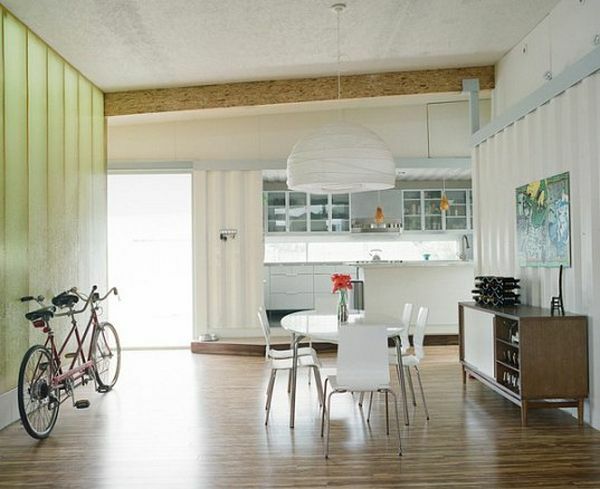 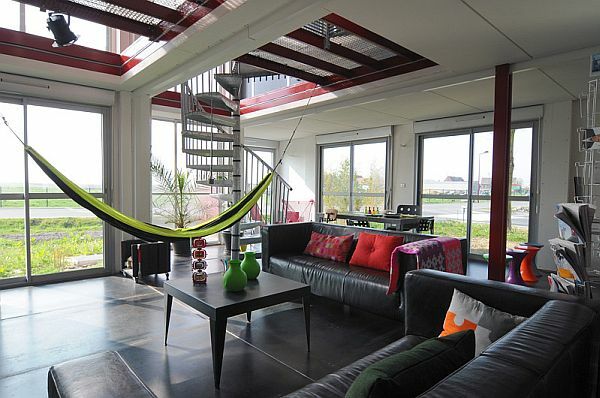 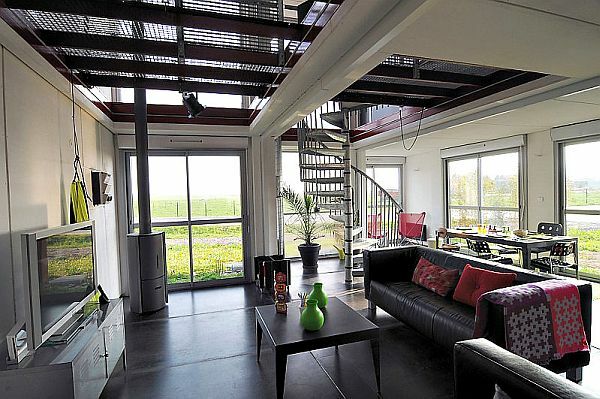 Leger Wanaselja Architects created this structure using just two shipping containers with one stacked on top of the other and 1,350 square feet container home offers all the modern comforts along with a very traditional design. 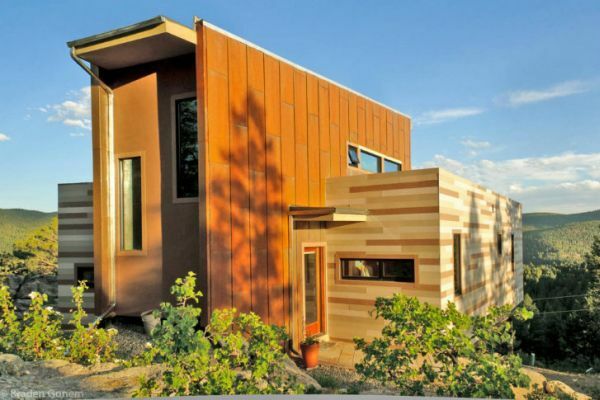 In fact, from a distance you would notice nothing unusual about this residence and with solar energy and two-story atrium that offers ample natural ventilation, it is plenty planet-friendly as well. 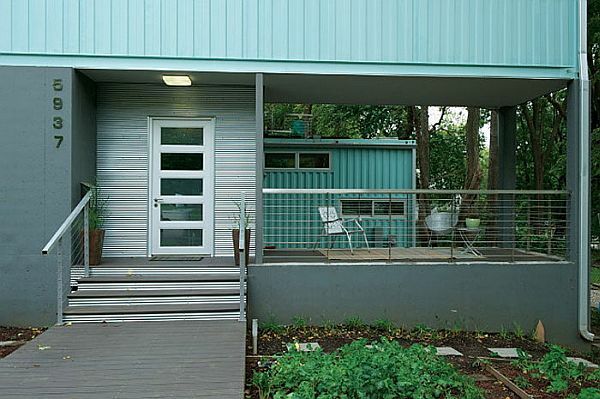 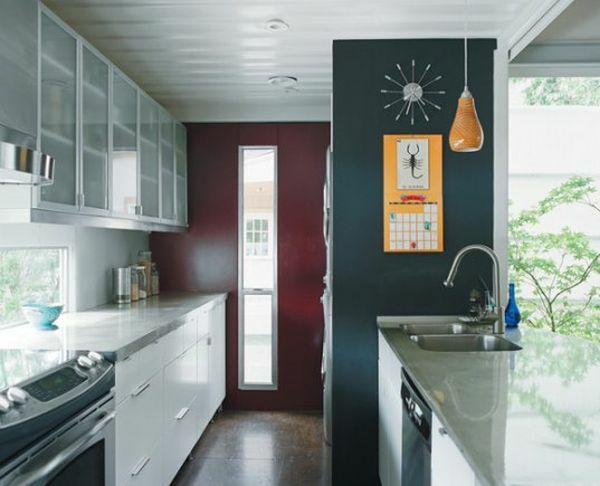 Another astoundingly complete container home that is both spacious and modern in its appearance, the Cordell container home took shape in downtown Houston. 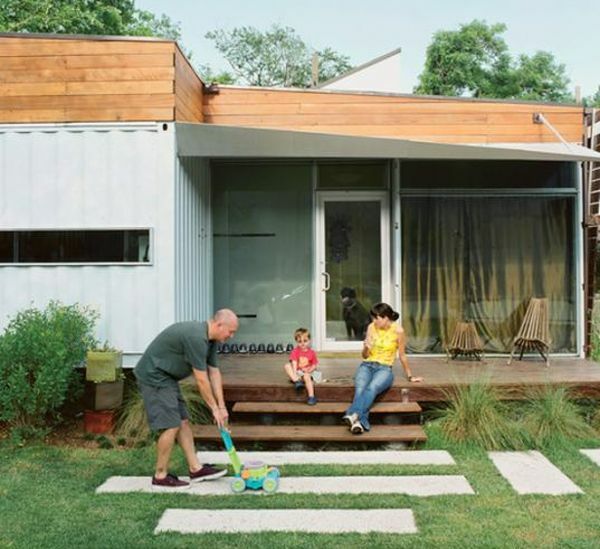 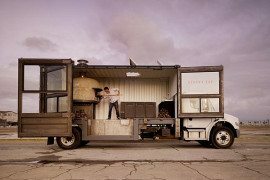 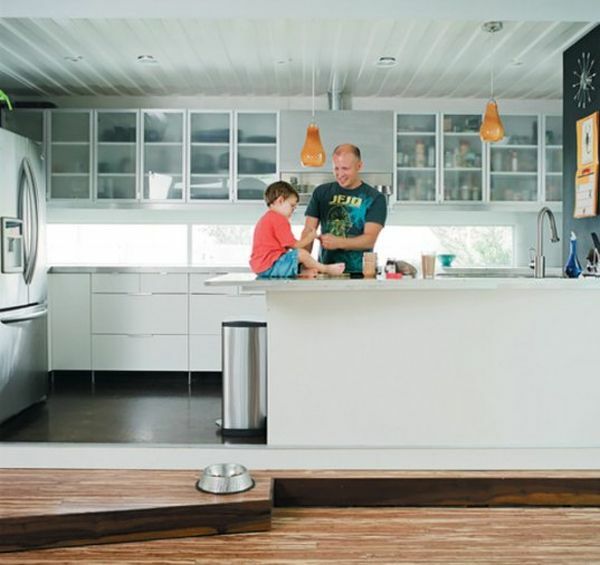 Architect Christopher Robertson from Numen Development was the man behind the project as he turned three 40-feet long shipping containers along with one 20-feet shipping container into a airy and contemporary living space ideal for a modern family. 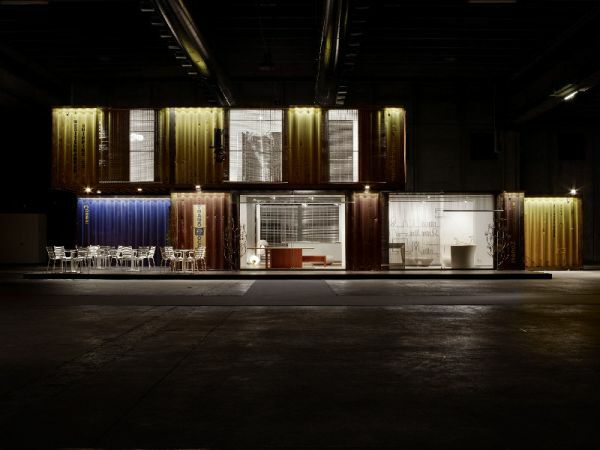 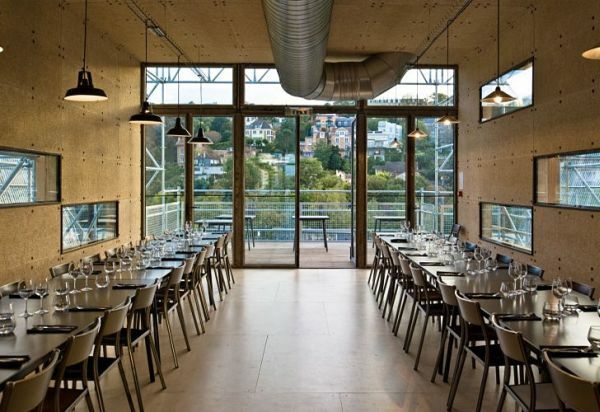 The Les Grandes Tables of Seguin Island in France is a perfect example of how one can use shipping containers in a multitude of environments to create the desired result both in terms of aesthetics and functionality. 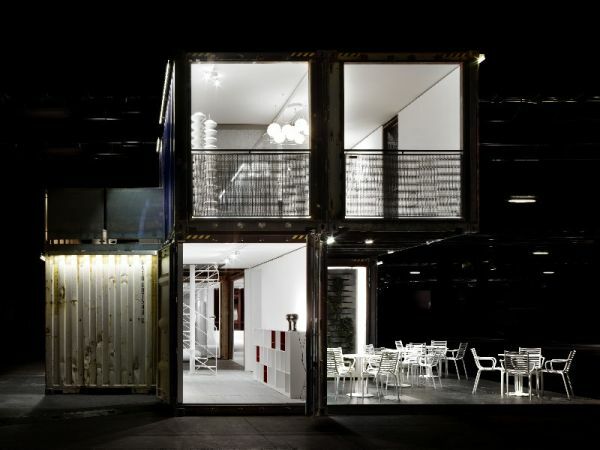 The revamped restaurant is a captivating structure encased in glass and inside it are recycled shipping cargo containers that not only make up the seating area for the 120 guests who can to dig into the culinary delights here at any given time, but also house a greenhouse at the lower levels that cultivate exotic plants and herbs which are alien to this region. 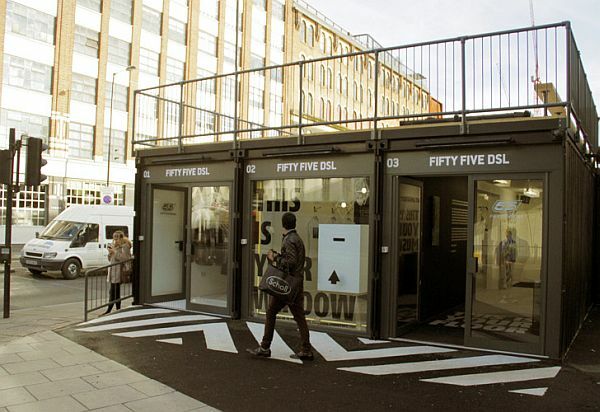 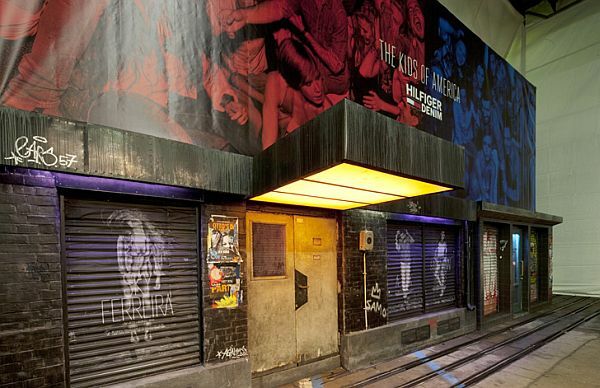 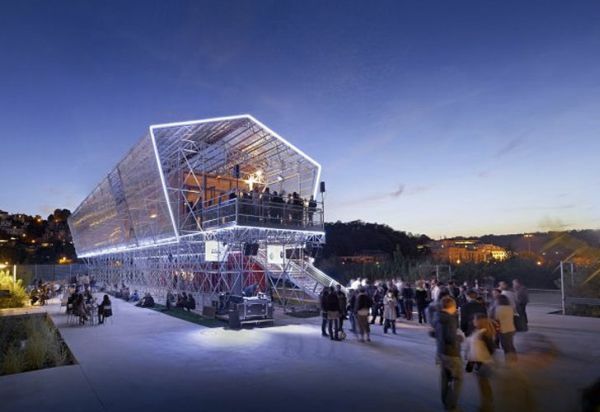 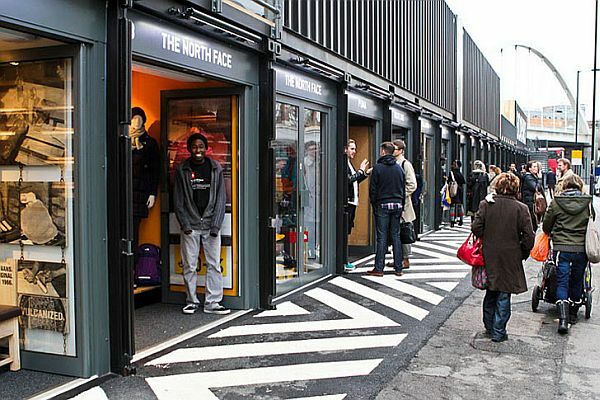 A pop-up shopping mall is always a great idea and it is all more awesome, when it completely employs only shipping container units. 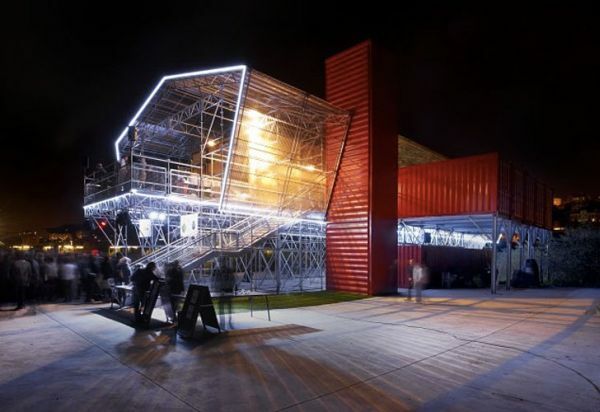 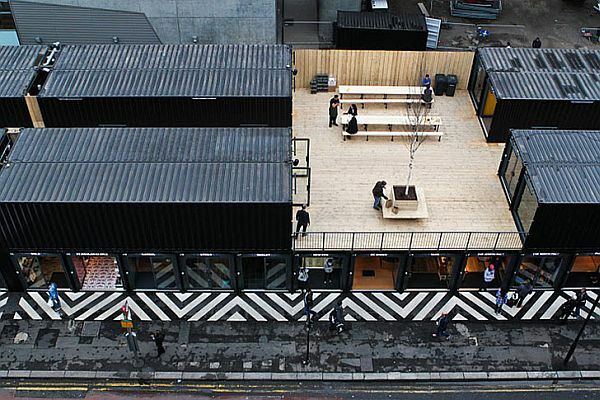 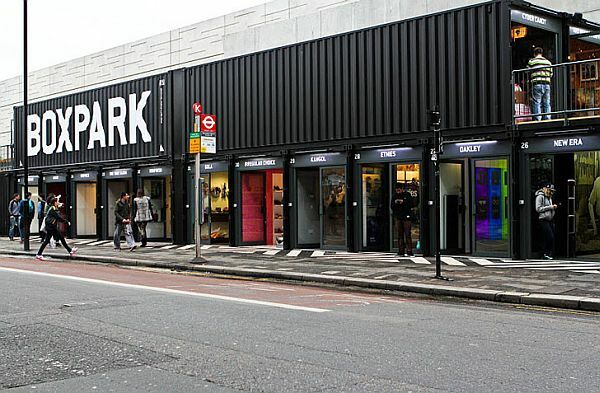 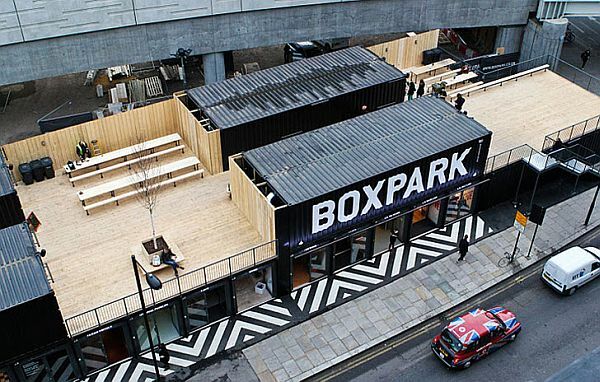 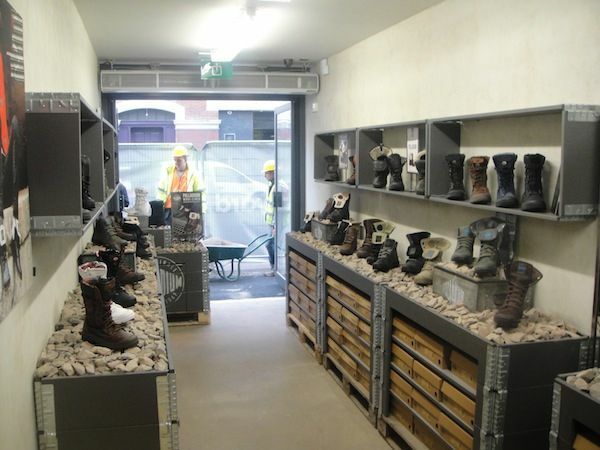 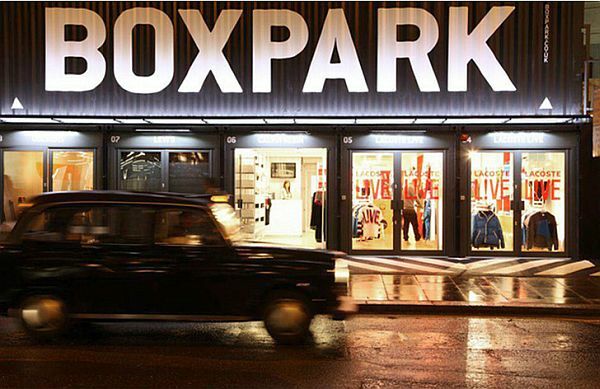 The first of its kind in London (and most likely in UK as well) the Boxpark Shoreditch is a shopping space crafted using 61 containers, with 41 of them on the lower level and with 20 of them on the upper level. 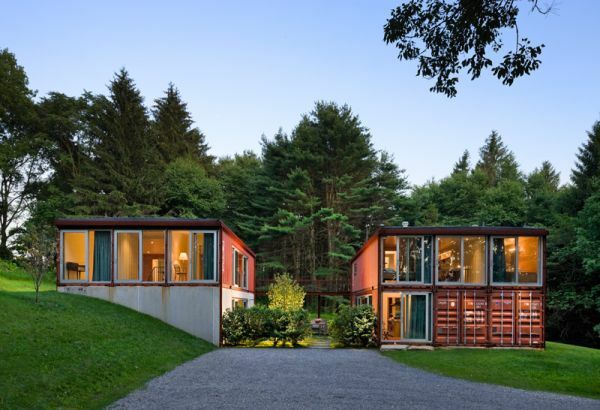 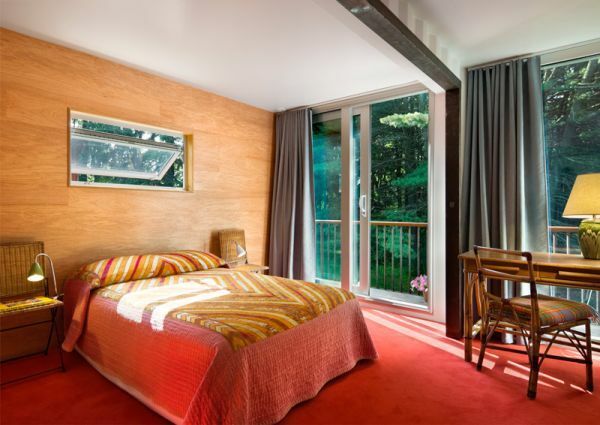 The husband and wife team of architect Bernard Morin and Joyce Labelle have decided to turn the idea of shipping container homes inside out; quite literally! 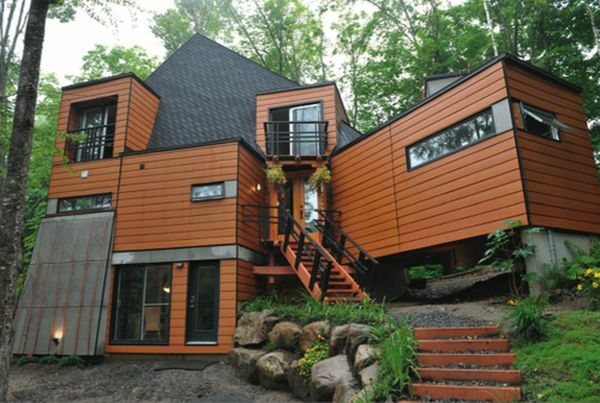 While most container homes flaunt that aspect blatantly with an industrial exterior and a more traditional interior, their own shipping container home set in Quebec looks nothing like one from the outside. 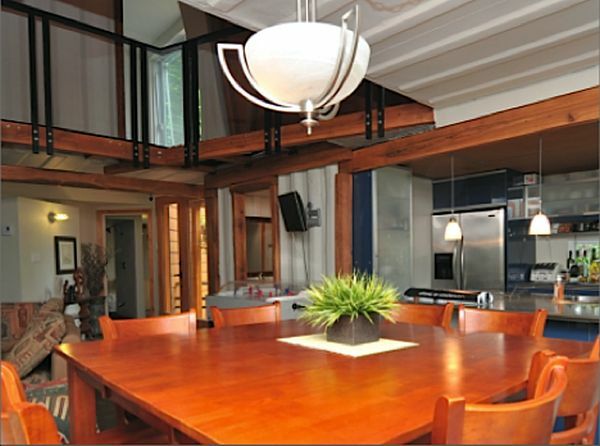 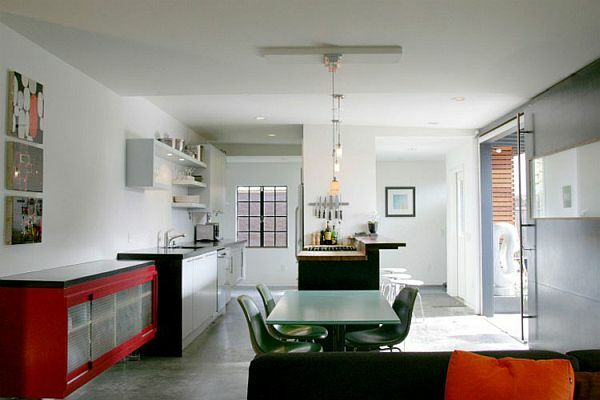 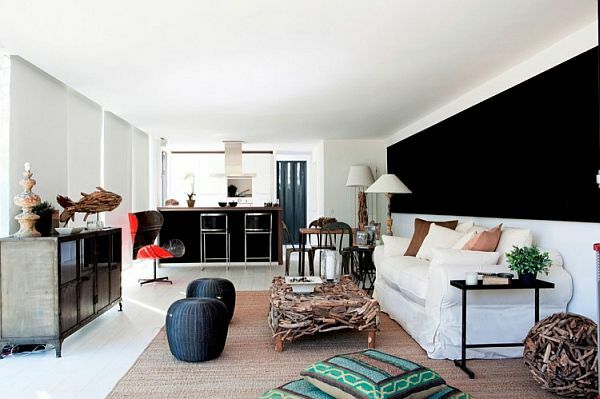 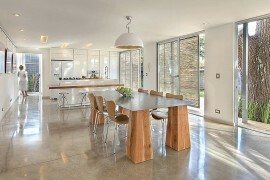 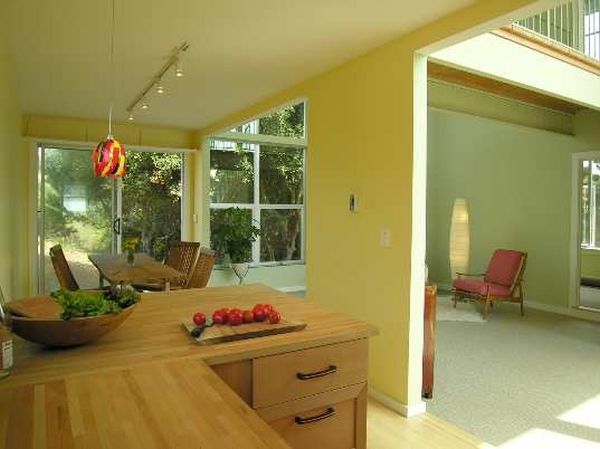 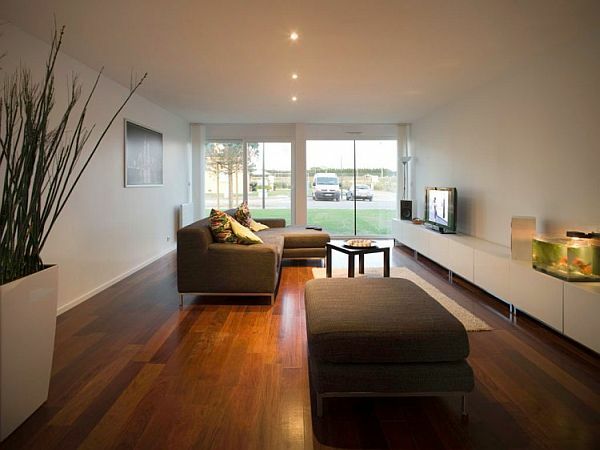 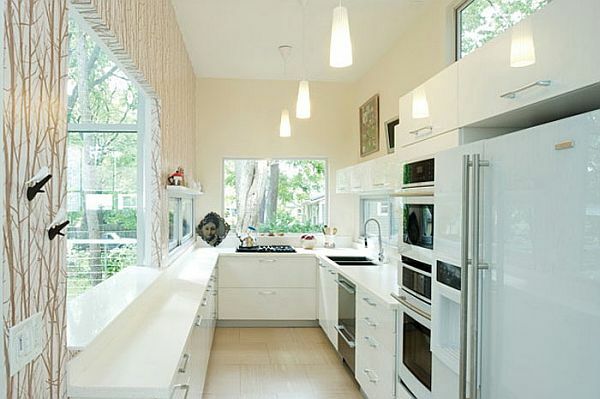 In fact, it has the appearance of a classic and timeless home that is both conventional and common. 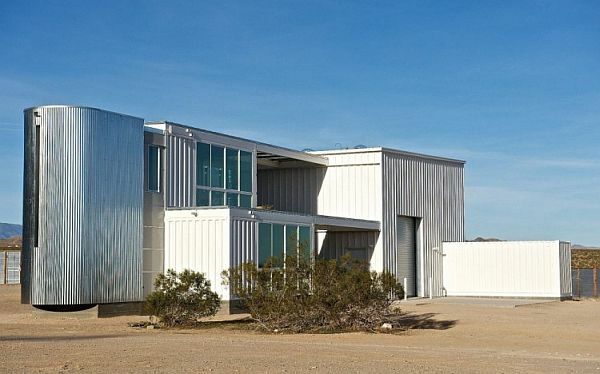 The idea of WingHouse is truly unique and very well could revolutionize the way we look at the housing structure in the years to come. 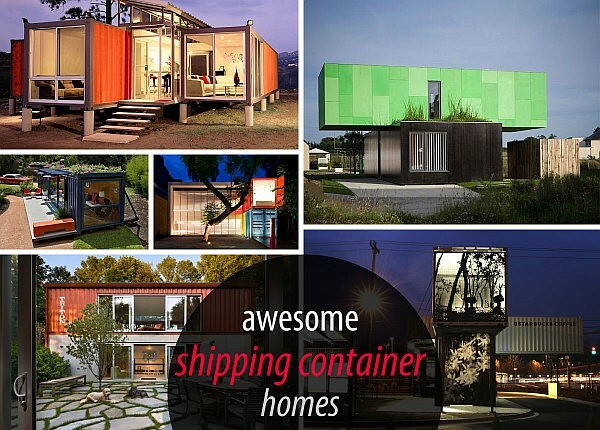 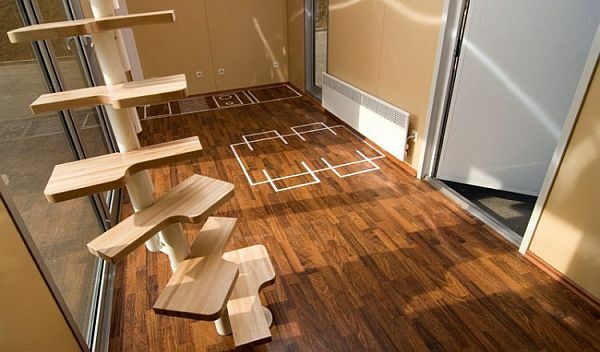 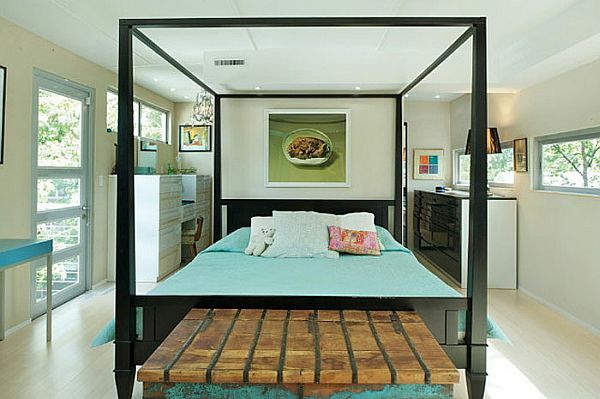 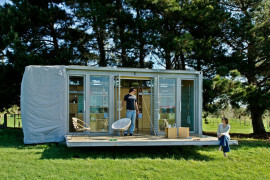 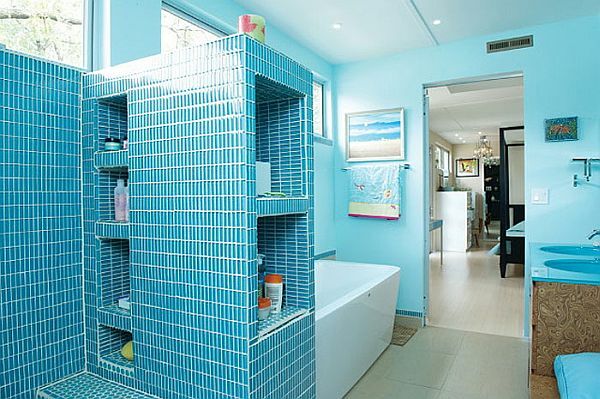 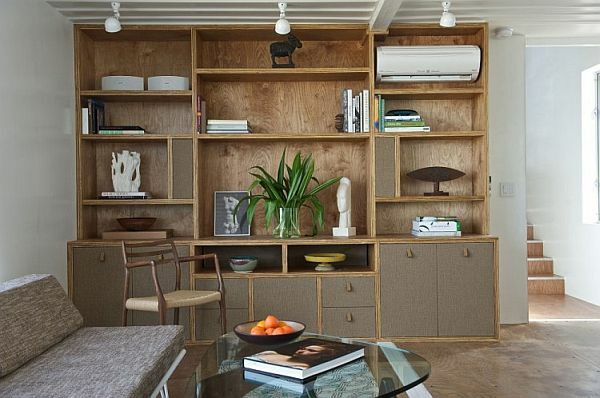 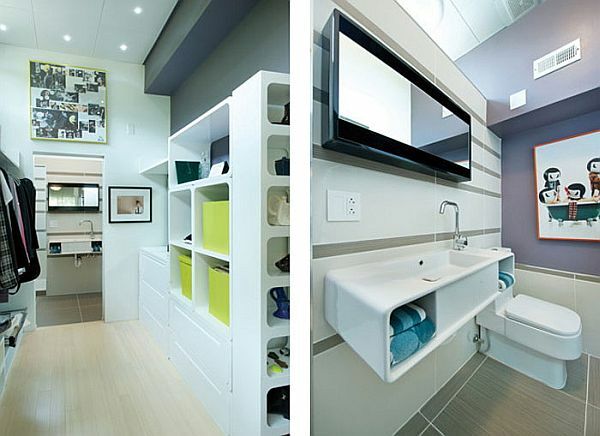 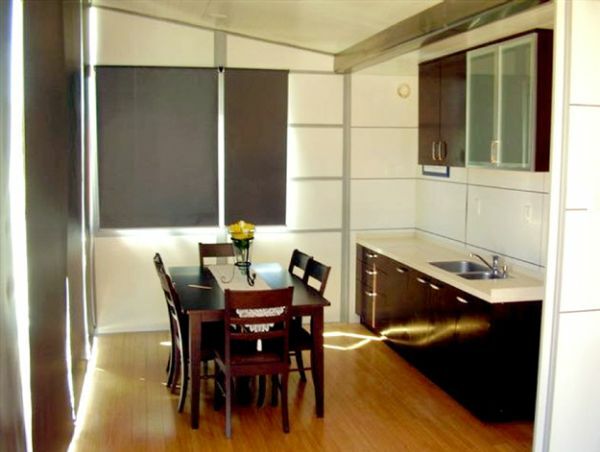 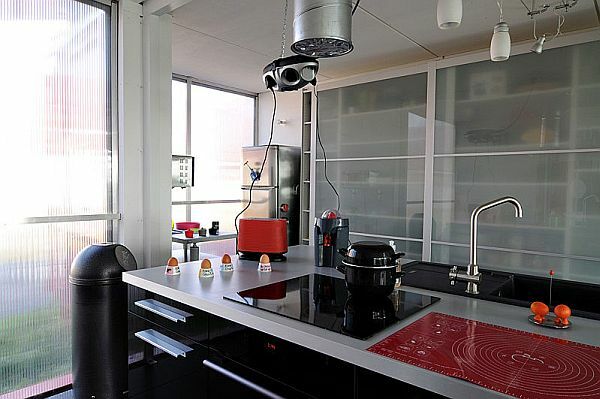 These container homes are designed to pack in everything into a single unit so that relocation becomes an easy task. 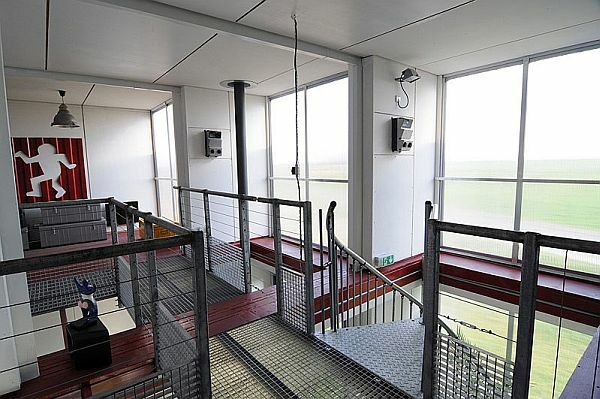 Once you reach your new destination, you can simply use the special features of the WingHouse and its unique walls that rise up like wings, with the help of a built in crane, to create more space. 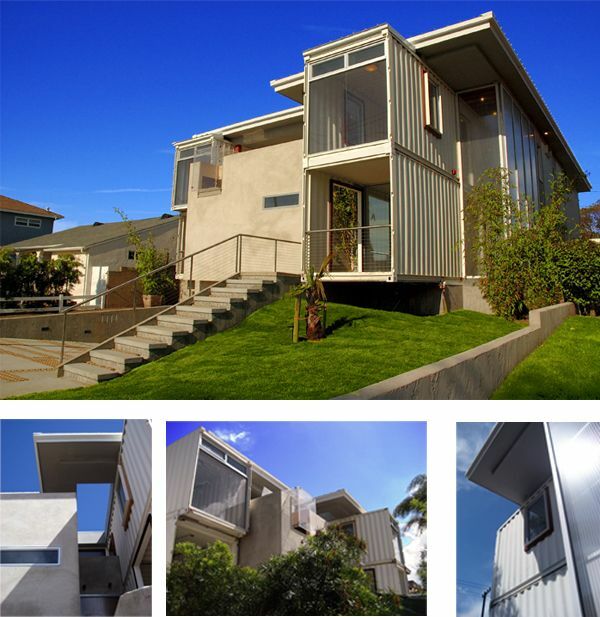 Another one of those container homes that seems to blend in with its natural setting, the Redondo Beach House by DeMaria Design is a seamless combination of shipping container units and traditional building materials to create a picture-perfect home that most would be proud to call their own. 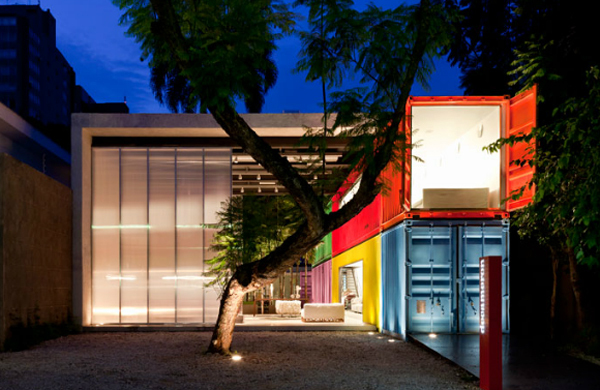 Twenty foot long container units have been used to create the structure and with an inverted container even forming a lavish pool, this truly is an attempt to bring all the modern comforts to container unit homes. 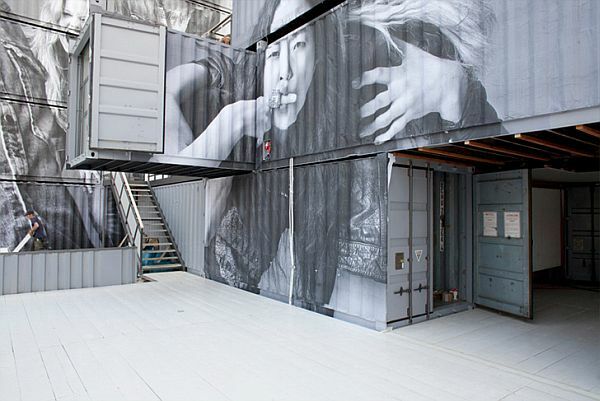 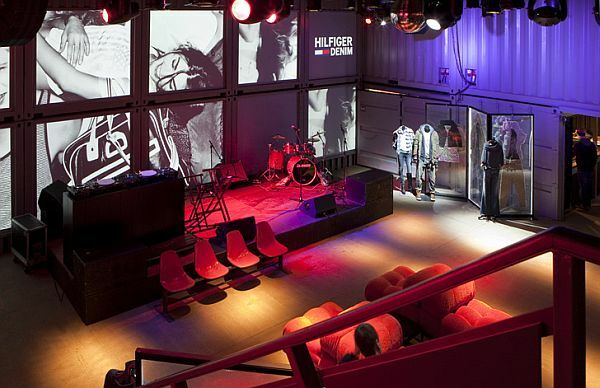 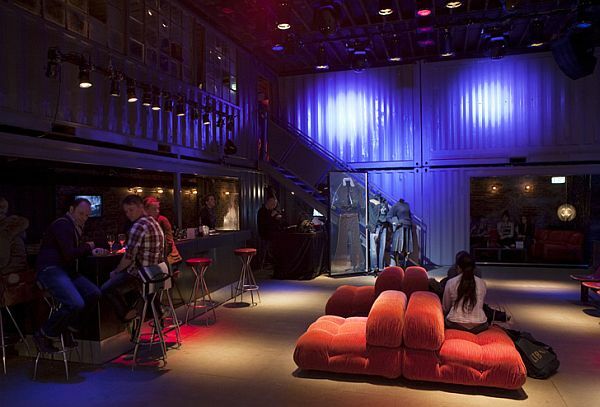 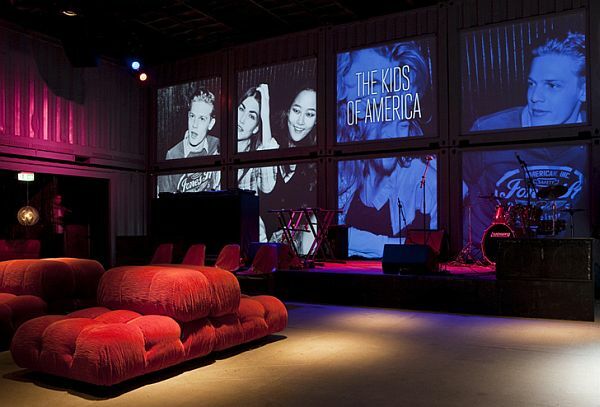 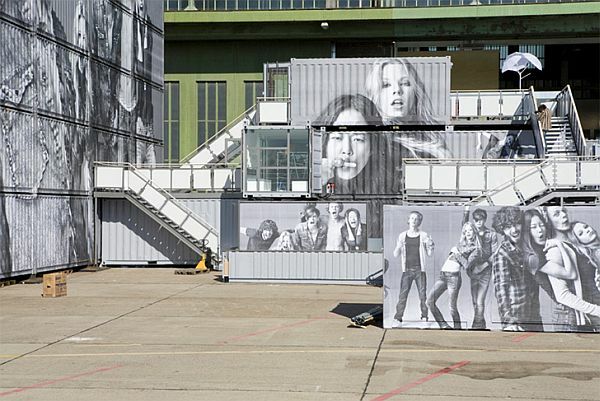 Showcased at the Bread & Butter Fashion Trade Show on behalf of the internationally renowned Tommy Hilfiger brand, these container structures showcase not just the utility of such units, but also how they can get a cool and at times ‘hip’ makeover. 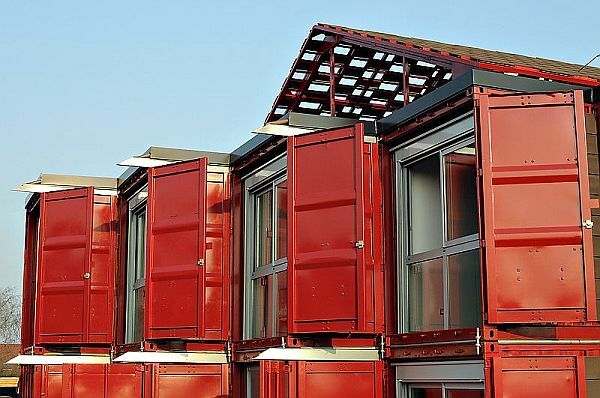 The graphics on the top, along with the quickly assembled units just took about a day to set up and it took a mere week to turn them into fully functional homes that were as good as any around. 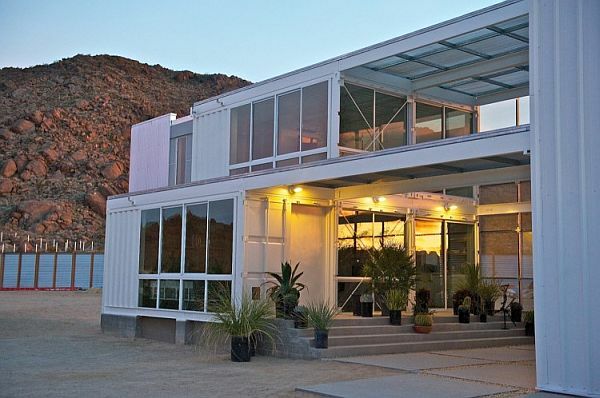 Another completely professional and modern unit, this shipping container home is the first of its kind in the heart of Mojave Desert and its stylish exterior makes one wonder if it really was crafted out of container units. 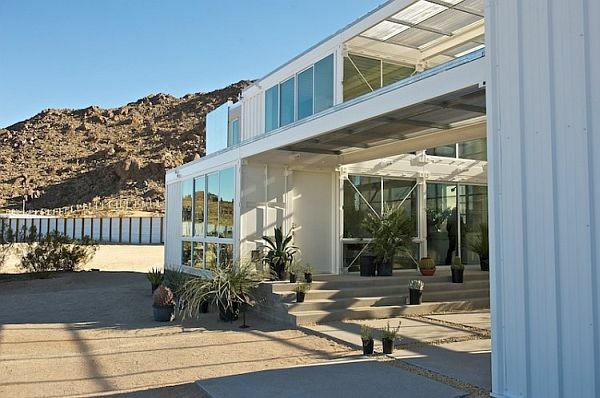 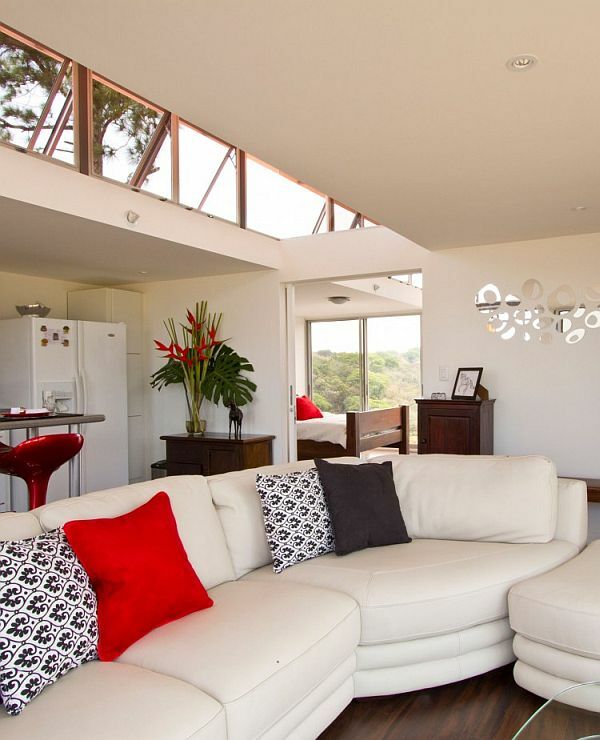 Brought to life by Ecotech Design, the structure employs 6 shipping containers and the end result is a lavish contemporary house with a single bedroom. 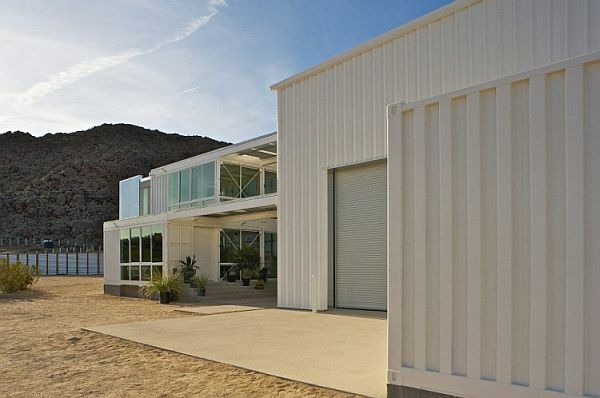 Spread over 2,300 square feet, the Mojave Desert house even sports a few shady patio areas and an open yard on the outside. 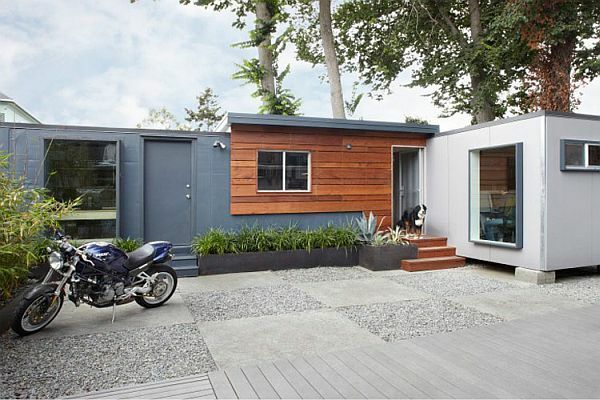 The extreme makeover of the home was rendered by Danze & Davis and they chose shipping container units as the material of choice for the building of the new home. 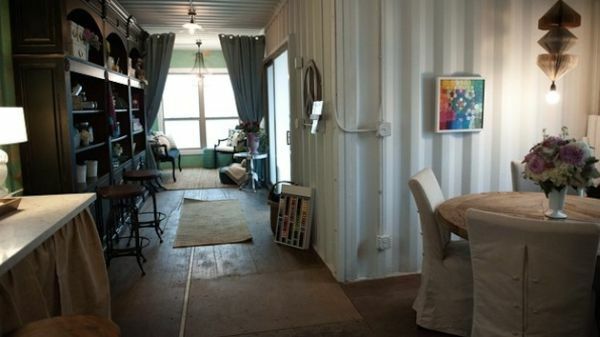 The rustic and traditional look of the home has been kept intact, while the interiors how sign of exposed steel that comes from the container units used. 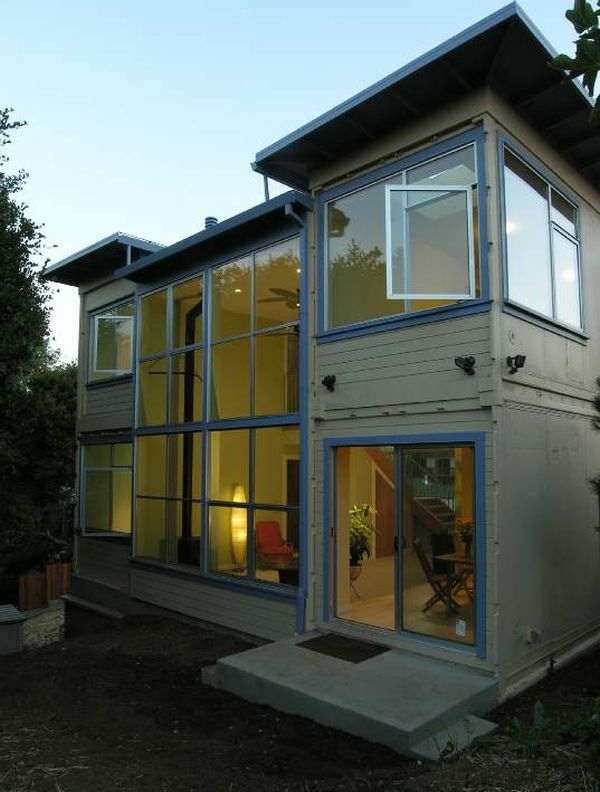 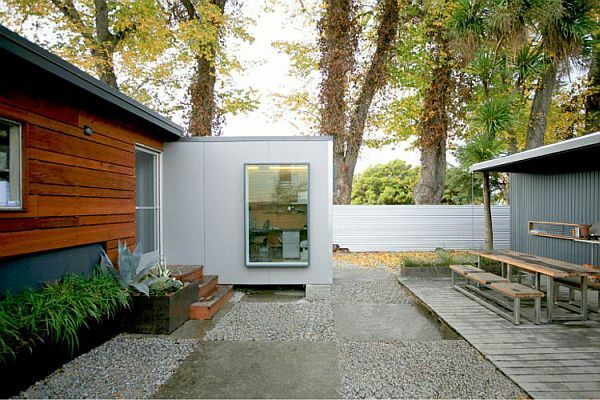 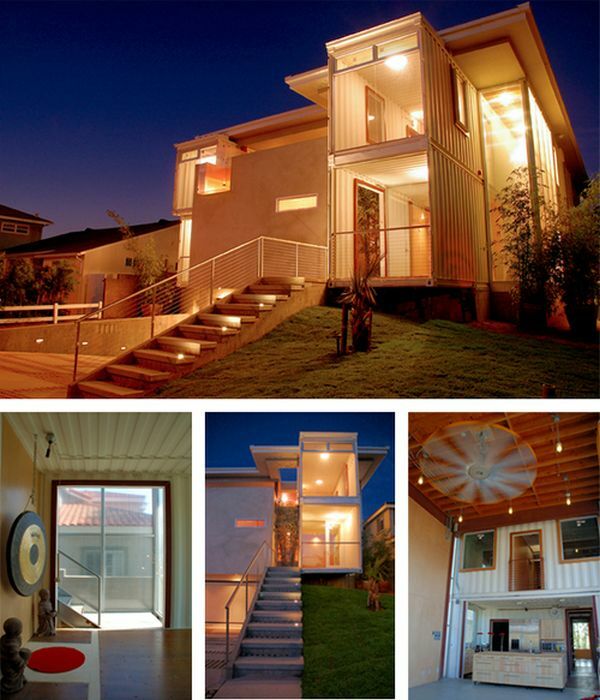 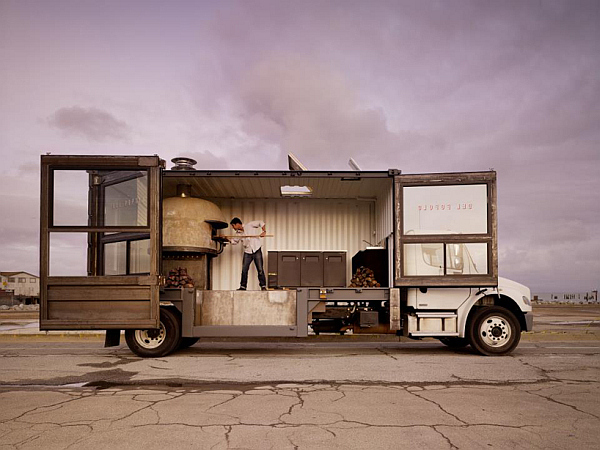 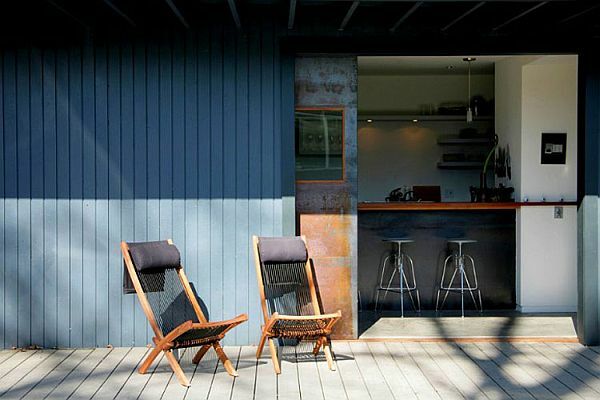 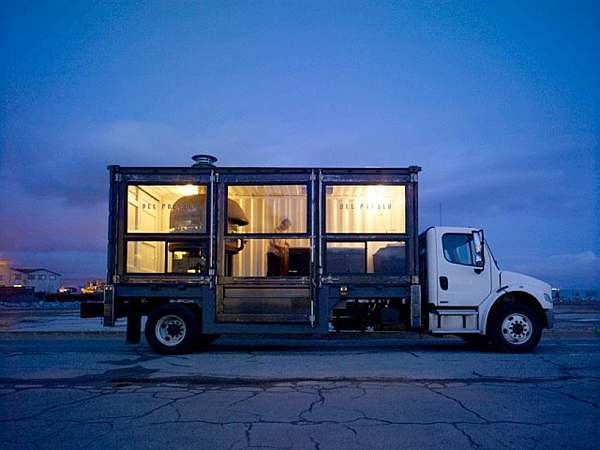 Despite its non-glamorous look, this container home makes the list for its sheer utility factor and adaptability.